Mystics of the Church: The death of Joey Lomangino -A blow to Garabandal believers? The death of Joey Lomangino -A blow to Garabandal believers? June 18, 2014 has marked the passing of Joseph "Joey" Lomangino, precisely 53 years ago to the day of the first alleged heavenly apparition (June 18, 1961) to four young girls in Garabandal, Spain. After the first initial appearance of St Michael the Archangel on this date, the Blessed Virgin Mary would allegedly appear on numerous occasions to the children until the final public message, once again on June 18, 1965. And for this reason, June 18th is the primary feast day of the events of Garabandal, since it marks the date of the first apparition to the children in 1961, and also that of the last public message of the Blessed Virgin Mary on that same date in 1965. And so it is that also on this very significant same date that Joey Lomangino died of a heart attack in his home at 10:30AM, lovingly surrounded by his family. Firstly it should be pointed out that those who have faith in God and in His Providence know very well that God arranges the timing of important events, and those who have eyes to see and ears to hear should very well recognize the hand of God in the timing of Joey's passing on June 18--the anniversary of the first Garabandal apparition, and also the last public message of the Blessed Virgin Mary--for June 18 is truly a key date in the Garabandal apparition. I remember when Pope John Paul II died on the evening of April 2, 2005 which that year was precisely the evening vigil of Divine Mercy Sunday--how so many people overlooked or did not recognize the remarkable sign in the timing of his death, for it was he who fought so hard for the recognition and acceptance of the message of Bl. 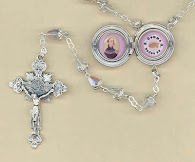 Faustina and Divine Mercy Sunday--for it was beginning in the 1950's that Bl. Faustina's Diary with its writings on Divine Mercy were originally condemned by the Holy Office---but thanks to Pope John Paul II this original ruling was completely overturned. Thus, the timing of such events such as the death of Pope John Paul II and Joey Lomangino are signs for those with an open mind and heart, and such signs are not meant by God to be ignored or taken lightly. Just two lines to tell you the message which the Blessed Virgin gave me for you today at the pines…she told me that the voice you heard was hers and that you shall see on the very day of the Miracle. She also told me that the House of Charity you will establish in New York will bring great glory to God." "You shall see on the day of the Miracle." --Here we come to the prophecy of the long awaited "new eyes" that were promised by the Blessed Virgin Mary to Conchita in a vision. Now that Joey has passed from this life, many have jumped to the conclusion that this prophesy is false and unfulfilled. And at first appearance this writer would have to agree that such is the case. But, reading carefully the prediction of what the Lady in the vision said to Conchita---that is that Joey would see on the day of the Miracle---well, one has to recognize that there are other interpretations and possibilities than the most obvious and apparent one, and I will leave it to the reader to consider other such possibilities. Keep in mind that this writer is not making excuses for what appears to be an unfulfilled prophesy, only that there are other possibilities and interpretations contained in such a message. The failed prophecy that wasn't--The prophesy that St Padre Pio would see the Miracle of Garabandal before his death. 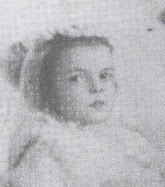 When the great St. Padre Pio died on September 23, 1968, many who were familiar with the events of Garabandal were surprised because the 'Great Miracle' prophesied at Garabandal had not yet occurred, because of the well known prophecy by the Blessed Virgin to Conchita that Padre Pio would see the Great Miracle, however his death by all appearances at first SEEMINGLY negated this alleged prophesy. 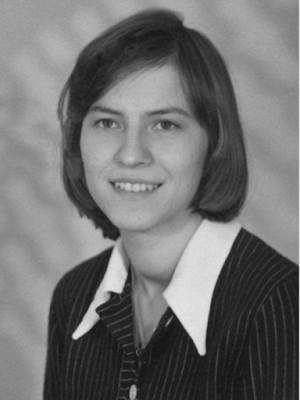 When Conchita found out Padre Pio died in Sept. 1968, she (along with many others!) were surprised and dismayed. 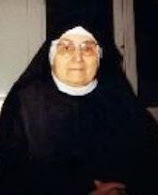 However, several weeks after his death as dusk settled at Garabandal, on October 16, 1968, a telegram from Lourdes arrived, carrying the name of a woman in Rome whom Conchita knew. 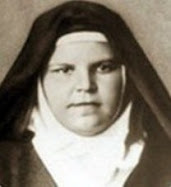 The telegram urged her to depart immediately by car to receive something on behalf of Padre Pio. Fr. Combe, a French parish priest from Chazay d'Azergues in the diocese of Lyon and a great promoter of the cause of Garabandal was in Garabandal that day. He and his collaborator B.L. 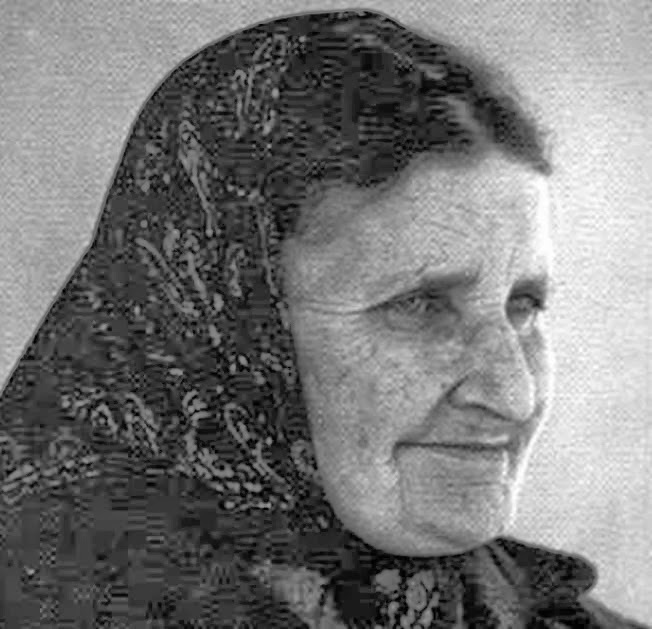 Ellos took Conchita and Conchita's mother Aniceta in their car and set out that night for Lourdes. In the morning of October 17, Conchita received on behalf of Padre Pio a short written message, a large section of the veil that had covered Padre Pio's face after his death, and also one of Padre Pio's gloves. Delivering these gifts to her from Padre Pio was the Italian Capuchin, Fr. P. Bernardino Cennamo. "Why did the Virgin tell me that Padre Pio would see the Miracle?" He replied: "Padre Pio saw it [the Miracle] before his death. He told us himself"
The lesson? Things are not always what they first appear to be, and we should not come to quick conclusions based on first appearances. Joey Lomangino was a devout and pious man who spent his life spreading devotion to God and the Blessed Virgin Mary. Along with founding the Workers of Our Lady of Mt. Carmel Center in Lindenhurst, NY, for many years Joey tirelessly traveled about to countless places giving conferences on the message of Garabandal--a message of prayer and reparation. He will be fondly and devoutly remembered by the many who met this remarkable man over the years. Whether one is favorable towards Garabandal or not, everyone should appreciate and recognize the fact that Joey was a very kind and pious man who spent his life spreading devotion to God, the Blessed Virgin Mary, and his great spiritual friend, Padre Pio. As to the authenticity of the alleged apparitions at Garabandal, it is up to the Church to make the final decision. In the meantime, the faithful are free to come to their own personal judgement after careful discernment. -Eternal rest grant unto him O' Lord, and may perpetual light shine upon him. Please feel free to comment below. The webmaster only asks that you be always charitable in your commentary. Thank you in advance! Glenn Hudson, you have NO PROOF those wonderful saints 'approved' Garabandal. Words from people who's ambition is to ONLY promote Garabandal means absolutely NOTHING. Besides. A Fool can be forgiven. Can someone who ignores scripture over ones own pride? Glenn as much as you'd like to think God sent you, it can not be possible because of all the prophecies that failed in Garabandal. But I think these words are written for you. But if they had stood in my council, then they would have proclaimed my words to my people,"
And what I do I will continue to do, in order to undermine the claim of those who would like to claim that in their boasted mission they work on the same terms as we do. For such men are false apostles, deceitful workmen, disguising themselves as apostles of Christ. And no wonder, for even Satan disguises himself as an angel of light. So it is not strange if his servants also disguise themselves as servants of righteousness. Their end will correspond to their deeds." 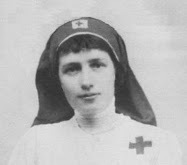 Glenn Hudson, For you to say St Faustina was the first to see the upcoming 'warning'. This just proves you do not understand or maybe did not read St Faustina's diary. If you did. You would have read the description of this event is totally different to what Conchita described. But more importantly. What Jesus said is that He was preparing the world through her for HIs FINAL COMING. Not a warning. He also said "woe to those who do not recognise My visitation." Woe to you Glenn who steers people away from recognising Jesus in His visitation, which is His Final Coming. GLENN. Can you actually spot the difference? A world wide warning that will happen in the sky…like a collision of two stars that do not fall down…It will frighten all humanity regardless where one happens to be at the time….it will be a thousand times worse than earthquakes….like a fire that will not burn your flesh….it will last a very short time, although to us it will seem like a very long time…no one can prevent it from happening…It will be recognised as coming from God…it will resemble a punishment…it is meant to be a purification…like the relevation of our sins and what we will feel in our hearts will be worse than sorrow. It will not kill us, if we die it will be caused by the emotion within us. One prophecy gives you fear of God. The other prophecy sees a merciful God who will forgive everything, not frighten us. You can deny the truth all you want but Saint John Paul II, Pope Paul VI, Saint Pio, Saint Escriva, Blessed Mother Teresa,Blessed Maria Rafols, Blessed Madre Maravillas , and many others ALL Believed and supported Garabandal. The Warning & Miracle will come, be prepared ! 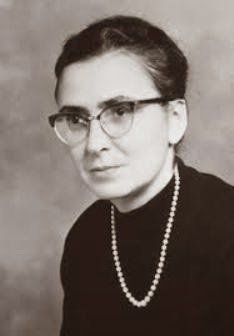 Conchita, diary jp204, 1966: He [Jesus] replied..."I want to tell you, Conchita, that before the miracle occurs, you will suffer much, for few people will believe you. Your own family will believe that you have deceived them. I am the one who wants all this, as I have already told you, for your sanctification and so that the world may comply with the message. I wish to advise you that the remainder of your life will be a continual suffering. Do not be freightened. In your suffering you will find me and also Mary whom you love very much... I will be with whoever suffers for me." 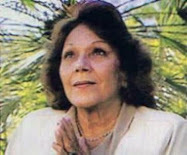 On December 6, 1962,Conchita had a 90 minute ecstasy around 5:30 in the afternoon after which, she provided two more pieces of information regarding the Miracle: 1) One day, before the Miracle, something will happen that will cause many people to stop believing in the apparitions of Garabandal. Thanks Glenn, you just proved you have NO PROOF that these saints approved this false prophecy. All you have is what you promoters say. You have nothing from any of all the books written about those saints. Funny isn't it, if Garabandal is so important these saints have nothing officially said about it. Glenn, you also ignored the facts that the description of what St Faustina said compared to what Conchita said is very different. What Jesus 'officially' said to St Faustina gives us hope. 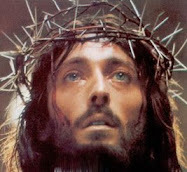 What Conchita said, is quite the opposite to a Merciful Jesus. It is fearful. Fear comes from the devil. Which ever "Anonymous" made the ridiculous comment I "have no proof" , I could fill these pages with proof,but why waist my time with blind people like yourself,who deny the truth. BUT, for those interested here's just one example of a recorded story in a book from a SAINT & POPE ! The messages from garbandhal..the girls were not possessed. Pretty sure god has a plan for all of us. 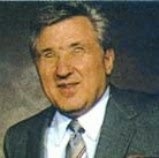 When mary mother of god said Joey Lomangino would have eye sight I think he will be resurrected as well as the priest. I just found out about this by stumbling across it, while looking at something with Padre Pio. Joey passed on the anniversary,and that to me is not a coincidence. Glenn, God speed. It is sad that our brother Joey is not on earth any longer, but it is joyous that he is in heaven. Keep in mind that this man accomplished to spread the love of Our Blessed Mother. GOD is Good and when it comes to His Chosen Bride Mary who bore our loving Savior Jesus into the world, there is nothing GOD would not do for those who promote Her in love. Joey did that, and further, even if the prophecies were not to occur, GOD asks us to get ready in the Garabandal message as Jesus also told Saint Faustina, and arguing about whether they will take place or not is not the answer. If anything, each word of malice said towards each other is held accountable. Much harm is done when we bicker back and forth for according to The Diary of Saint Faustina, "The Lord said to her, ‘It should be of no concern to you how anyone else acts; you are to be My living reflection, through love and mercy.’ I answered, ‘Lord, but they often take advantage of my goodness.’ ‘That makes no difference, My daughter. That is no concern of yours. As for you, be always merciful toward other people, and especially toward sinners’ " (1446)." For this reason we should follow what Jesus told Saint Faustina HIS secretary. Tanmara, Thank you for your words and especially the words of our Lord to St. Faustina. They are most needed at this point in time. God bless . Why is Anonymous such a coward by not publishing his or her name? Everything he/she says is just complete utter nonsense with regard to Garabandal. Obviously he/she hasn't done too much research on the matter. Such would probably help in not making a fool of oneself. Anonymous : no one is talking about Medjugorje here. Personally I do not see what the problem is. Everyone assumed that what Mary said about "seeing with new eyes" meant that he would see here on earth with human vision. He will see with new eyes just as all of Heaven will see on the Day of the Miracle! Mary never said anything about Joey being here on earth with those new eyes. I am still a confident believer! Praise the Father, the Son and the Holy Spirit! TOTAL NONSENSE ! Padre Pio NEVER changed his mind on Garabandal ! How do I know this for 100 % sure ? I'll tell you. I am personal friends with Conchita the main visionary. Not only did they remain great friends until his death,but upon his death he made a request for Conchita to receive one of the veils that covered his face at his wake, one of his rosaries, and a blood stained glove from his stigmata ! ( I have seen these items at her home ). Of all the people in the world to leave these most precious gifts, PADRE PIO CHOSE CONCHITA ! Now does that sound like he didn't believe anymore ? 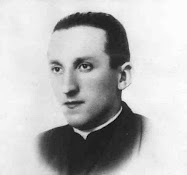 The YouTube documentary on Joey Lomangino and the Garanbandal Connection did not say that there would be 3 Popes after Pope John XXIII. It said that beginning with the 4th successor after Pope John XXIII, the papacy would be of a different kind, which is kind of vague to me. Maybe it meant that the world would be markedly different than before? Also, the passing of Joey L. before "The Miracle" which seemingly was to restore his sight could mean that he regained his sight in Heaven and that at the time of the Miracle he will see what all of us who are living will see at the time of the Miracle. (At first, I was baffled until I thought about it some more.) Finally, Joey said in the documentary that St. Padre Pio told him the Apparitions at Garabandal were true. That was proof enough for me! :) God bless! Saint (Padre) Pio affirms Garabandal to a PH.D in confession. 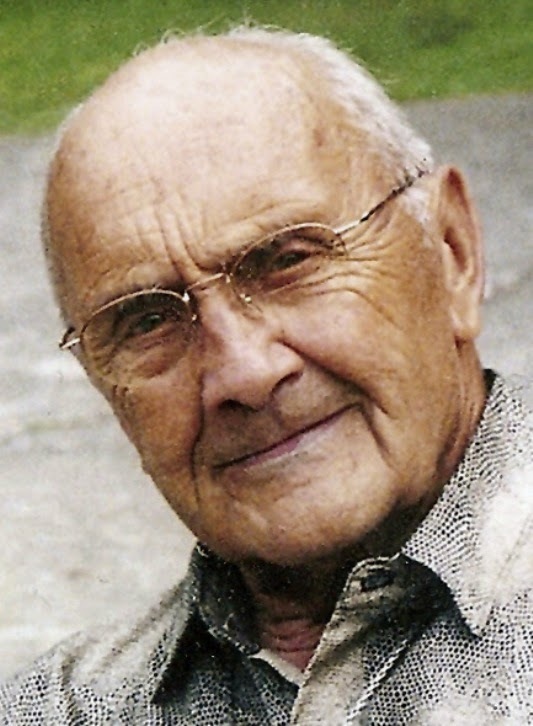 Joachim Bouflet,PH.D. went to Padre Pio for confession in July of 1968. Padre Pio told him "Pray to the Madonna. Consecrate yourself to the Virgin of Carmel." "Yes, Padre, I pray to Our Lady of Mount Carmel. For that matter, I would like to become a Carmelite." He didn't comment on this but repeated with insistence, "Consecrate yourself to the Virgin of Carmel who appeared at Garabandal." God exists out of time. All communication from the Angels and saints are aided by Him who knows he future. When one sees a vision we are in such a state we are shielded from a clear vision as we would have if we were on the other side. I have had a vision myself while in the hospital. It was very "clear" at the time. I thought it was the Virgin at the time but now know it was another saint. This vision was clear as day and there was a witness to the vision as I later learned. It is quite possible that Joey saw at the moment of his death a miracle and or he will rise from the dead at the time of the miracle. I say this because the miracle was be be seen by all and be very dramatic. If this is to happen the world will be shaken to the extreme for sure. I can't say I believe in the story but it is possible and has brought many to the truth and to love the Lord.Some of us may live to see what happens if anything but our faith should not be dependent on this alone. I just found out about Joeys passing yesterday, a little late because I was hit by a car in June and am just getting back to "normal life". I am saddened by his passing. He was gracious in sending me a medal with "our Lady's Kiss" Only the church can validate the apparitions, and despite Joey's passing I do in my heart hear Our Mothers Voice in the messages of Garabandal. The messages are what is at the heart of everything. That is just my belief. I send my deepest sympathy albeit a little late to Joey's family and of course Conchita. I hope you and others will continue to follow the Garabandal story as it unfolds on my page. God bless. The important thing is to live according the message, say our rosaries, lead good lives, ask for mercy and forgiveness of our sins, be good to others and put our hope in God no matter what. Warning is not a hoax,and will happen very very soon. Garabandal is not the only reference to the Warning, there is also Saint Faustina - "Before I come as the just Judge, I am coming first as the King of Mercy." There is a priest Stefano Gobbi who recieved a numerous messagesa from the Virgin Mary and he founded the worldwide catholic movement " Marian Movement of Priests" Lady told him about the warning in more then one message, for example, a message given to Stefano Gobbi in Berlin 22.05.1994: A new fire will come from the sky and will cleanse the whole humanity which has become pagan again. 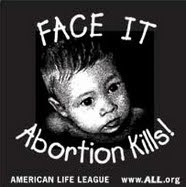 It will be a small judgment day and everyone will see in the light of Gods Truth." There are other references to the Warning as i said but finally and most importantly there is the Book of Truth which has described the Warning in detail. Book of truth prophesied that the pope Benedict XVI is the last true pope and that he will be ousted from the Holly See. Pope Francis and his behavior was described in detail. Maria of Divine Mercy who is receiving the messages (known as the Book of Truth) from our Lord and Virgin Mary is the true prophet. God bless you all. If true , this would explain why some prophecies have not come true, maybe not all that has happened in Garabandal comes from God... we al know that where goes Virgin Mary, goes the Devil. Padre Pio NEVER changed his mind on Garabandal. Why am I so sure ? Becasue when he died in 1968, He left some sacred items to ONE person specifically...Conchita. So of all the people in the WORLD, he chose to leave Conchita one of his blodied gloves, a rosary, and a veil from his wake ! I have seen these items at Conchita's home. So, does that sound like he didn't believe anymore??? NO. Thanks for your reply Glenn, i'm the Anonymous of december 12 and 13. This happen because it said in a book i have about garabandal that before the miracle, warning and all that people will not believe that this apparition it is true. And this is happening now with the death of joey people are beginning to doubt about the garabandal story. No one know how god thinks and this a mistery to be solve in a few months. My advice is that believe, believe do not get disspointed so easy. Conchita & Jesus comment on belief of GarabandalConchita, diary jp204, 1966: He [Jesus] replied..."I want to tell you, Conchita, that before the miracle occurs, you will suffer much, for few people will believe you. Your own family will believe that you have deceived them. I am the one who wants all this, as I have already told you, for your sanctification and so that the world may comply with the message. I wish to advise you that the remainder of your life will be a continual suffering. Do not be freightened. In your suffering you will find me and also Mary whom you love very much... I will be with whoever suffers for me." St. Bernadette, was digging in the dirt with her hands,as Mary told her ??? All apparitions have their unusual characteristics, that's why they are supernatural. I've just read about these visions and what drives me crazy is that even when I was a Protestant Evangelical there are Christians who were are "miracle sniffers" from the Charismatic movement to the prosperity gospel. I remember once being in a church where the speaker said that, "it's never God's will that anyone be sick and if you're sick then you're lacking faith. I questioned him and was literally verbally attacked by the men attending the meeting. Was Garabandal a real miracle? I doubt it. Even if it was, it was not likely from God. If you want a miracle I've got one, it's a great miracle. Jesus died and rose from the dead three days later. How's that for a miracle? The Church has the Bible, Tradition and the Magesterium and that's all we need. Isn't that good enough? I guess for some people it's not. Whether you're Catholic or Protestant there are professing Christians who just don't find Jesus's miracle of rising from the dead enough. Very sad. Anonymous, you obviously do not understand what Garabandal is about. ITS NOT ABOUT THE MIRACULOUS THINGS THAT HAPPENED THERE . IT'S ABOUT MARY'S WARNING THE WORLD TO REPENT ! Even you see the godless world we 've become,so God in his mercy send Mary again to warn us that we must repnet or a punishment will befall us. THATS WHAT GARABADNAL IS ABOUT . WE ARE NOT MIRACLE SEEKERS. WATCH THE VIDEO AND LEARN BEFORE YOU SPEAK AGAISNT GOD'S PLAN. Yes, there have been a lot of prophecies at Garabandal that haven't come true. But, on the flip side, many have come true. For me, I'm watching to see if two prophecies, which seem poised to come true, come to pass. 1) "The pope will go to Moscow, Russia." We've seen in November 2014 that Pope Francis has expressed his desire to unify the Catholic and Eastern Orthodox Churches and to go to Moscow at the invitation of Patriarch Kirill. He has already made quite an impression upon Patriarch Bartholomew of Turkey which some say may open the way to a visit to Russia this year. 2) Conchita has said that the Blessed Virgin told her that when the pope goes to Russia and returns to the Vatican, Russia will begin, almost immediately, it's persecution of Europe and the world, etc. She stated that this persecution will be terrible and will end only with God's direct intervention via The Warning. Conchita says Our Lady told her, "When communism comes again, everything will happen." We've seen in recent news that Russian President Vladimir Putin (although technically he's not communist; but if he 'acts like a communist' he's a communist) threatens not only the Ukraine, but also Europe and the rest of the world by his actions. All we can do now is wait and see if these two prophecies "trigger" the Garabandal Warning and subsequently, The Great Miracle in the very near future. I personally believe that The Great Miracle will occur in the spring of 2017. We watch and pray. I have to disagree that " a lot of prophecies haven't come true". A lot of them are misunderstood or lied about. The most significant comment made along with some other positive comments is the one made by Anonymous on June 20 2014 at 11:49 AM. >GLENN. Can you actually spot the difference? >I can see the difference. >One prophecy gives you fear of God. >The other prophecy sees a merciful God who will forgive everything, not frighten us. (1) God can be merciful, and can be fearful. Why sided God as fearful? (2) Signs and warnings mentioned in Bible. The above argument tries to discredit warning, which is a mismatch with Bible teaching. (3) "a merciful God who will forgive everything” (with repentance) is the Catholic teaching. It seems to me that Anonymous tried to argue no further miracle is needed after Jesus' resurrection, and tried to use this logic to “attack" Garabandal apparitions. But the same argument can be used to “attack” all other apparitions, approved or not. I would classify this as an overly simplified argument for the sake of “attack”. After Vatican II, the view is that the Church does not have all we need. The Church does not have the answer to why children were abused in the Philippines. Many problems need to be solved by us, and the Catholic teaching is that Mary is participating in our problem solving process. What this particular "Anonymous " fails to realize, the followers of Garabandal understand it is the "WARNING" that is the most important event ,because God allows you to see the stain of sins on your soul,as he see it, for repentence. The MIRACLE is just Gods way giving us the confirmation that the Warning could have ONLY come from HIM. This is forum for people to provide comments and I would like to see discussions based on facts with good logic. You use the word “detractors” suggests that you again used your biased approach to make arguments. You also imposed your perception to others with "massive insecurities and deep loneliness”. This is in contraction to what you said LOVE, GOODNESS and WISDOM. One thing that has always bothered me about Garabandal and Medjugorje, is the fact that they have lingered on all these years without any fulfilment or definite supernatural sign of authenticity. The local bishop at Medjugorje has always viewed that alleged apparition in a negative light, while at Garabandal the bishops have appeared to leave the supernatural veracity unresolved. But if you look at the history of approved apparitions you will see that God does not leave us hanging, waiting decades for a supernatural sign of authenticity. At Lourdes, Fatima, etc. there was a supernatural sign given to the local bishop to prove the authenticity of the message. Not so with Garabandal and Medjugorje. Of course, the promoters will say "Just wait and see!" but I find this rather convenient, for if nothing happens after all these years then many souls will have wasted their time chasing a phantom. I just don't think this is the way God works. Let's look at Garabandal to illustrate my point. At Garabandal it was prophesied that a supernatural warning and miracle would occur. Conchita will announce the date of the Miracle 8 days in advance. Conchita has said that she cannot divulge the day of the Miracle before those 8 days. But here is where we start to run into problems, for Garabandal promoters will tell you that Conchita has actually already divulged the date of the Miracle to the Vatican. Now, this is confusing for the mere fact that on one hand Conchita says she is not permitted to divulge the date of the miracle and on the other hand she divulges the date of the miracle. Which is it? Also, Mari Loli knew the year of the Warning but in an interview said that although she was not forbidden from divulging the year, she felt that she shouldn't. But then later it is reported that the year of the Warning is an even year. Conchita also made a rather strange comment about the Warning, stating that the event of the Warning would begin with the letter "A" but that she felt she should not divulge this event. This dynamic of "we know the date and can't tell you" but "here are some cryptic clues" just strikes me as odd and not the way God works. God always gives clear, concise prophecies: an example of this was at Fatima, where the Miracle of the Sun was predicted to occur on such and such a day at such and such a time. Now, don't get me wrong, I would like Garabandal to be true - the world is in desperate need of a supernatural intervention - but after the death of Joey I think it is time for Conchita to address the issue of Garabandal publicly. If she cannot tell us the day of the Miracle, perhaps the year. If she cannot tell us the year, then perhaps she should clarify what this "event beginning with the letter A" is that will coincide with the Warning for, by her own admission, she was not forbidden from divulging this event but "felt" she shouldn't. Well, after the death of Joey, I am sure many Garabandal followers feel that they are owed a little bit more openness from the primary seer. God Bless, have a blessed Lent, and test everything. I am not sure what else Garabandal promoters and seers can help to comfort you. You probably well know that the devotion to the Sacred Heart was officially recognised 75 years after St. Margaret Mary Alacoque's death. I do not see any reason to blame the promoters and seers; but instead I believe it is their calls to spread the messages. It seems, therefore, that notwithstanding the decisions of two commissions accepted by the bishops of Santander, that there are reasonable grounds for individual Catholics to find Garabandal credible. The children themselves predicted that the message of Garabandal would be approved with difficulty, but in sufficient time to spread it. Perhaps this means that the "warning" (a clearly supernatural event) must occur first for approval to be given. Given the seriousness of the times we do well to heed the message of conversion, whether proposed by Fátima or some other source such as Garabandal, Medjugorje or another, without fear, that is, with complete confidence in God's providence for us and the world. The future will take care of itself if we remain spiritually prepared for anything. This has always been the advice of the saints, anyway. As an individual, I came here to learn. Before this month, I have zero knowledge about Garabandal. I carried a medal in my wallet since I was baptised 35 years ago. In early this month, I used a new phone to take a picture of the medal and after enlarged the picture, I found the word Garabandal. I google searched the word and started learning Garabandal apparition. My personal experience was that the medal assisted my development, particularly, to take sacrifices (control myself to do what is right) and penance (reflect myself, follow by finding and implementing improvements). As a Catholic, I also want to see the Warning and the Miracle, but before their arrival, I also believe I am prepared for my death and facing the judgement. Anonymous, your logic is so flawed. Conchita has never revealed the Miracle date TO THE PUBLIC. The Pope I believe has the right to ask for the date (because he will not reveal it to the public either ) and if you think about it ( which you haven't ) if the date passes and no miracle, then he can rule immediately,but that hasn't happened ,so the church prudently wits, that should be comforting, not confusing. Anonymous you also incorrectly state that nothing supernatural has happened at Garabandal, I could fill this thread with HUNDREDS of supernatural fulfillment stories ! Including the biggest one of the Eucharist appearing on Conchita's tongue ,announced 15 days in advance , filmed by 2 camera's infront of dozens of eyewitnesses ! You say that numerous supernatural events have occurred at Garanbandal. This is not true and the local bishop has NEVER stated that anything supernatural has occurred at Garabandal. You may think whatever you want, but the local bishop has the only opinion that matters. You must distinguish between the supernatural and the preternatural. Satan is quite capaple of performing peternatural events: these would include levitations, impossible bodily movements, apparitions, etc. Only God is capable of performing the supernatural. Did you know Glenn that there was another alleged Marian apparition in Spain not far from Garabandal almost thirty years earlier that predicted the Warning, Miracle and Chastisment? It occurred at Ezquioga. There were hundreds of seers at Ezquioga, all children, who attracted more observers for any vision in Catholicism until Medjugorje in the 1980s. Paranormal occurrences were commonplace, the children would fall into trances shortly after beginning their rosaries, and believers would give them rosaries and medals to be blessed by the Virgin. The Ezquioga version of the miracle is somewhat different. One visionary reported that the Virgin would appear in Ezquioga at five o’clock. Of those present, some would see the Virgin, others only her shadow, and others nothing at all. All would see Saint Michael and fall down in terror when he appeared. The chastisement would take place before the miracle as a rain of fire, a cloud of snakes, and sudden deaths. The wicked would be “carbonized”. There would be little time between the chastisement and the miracle, after which Christ would reign until the end of the world. 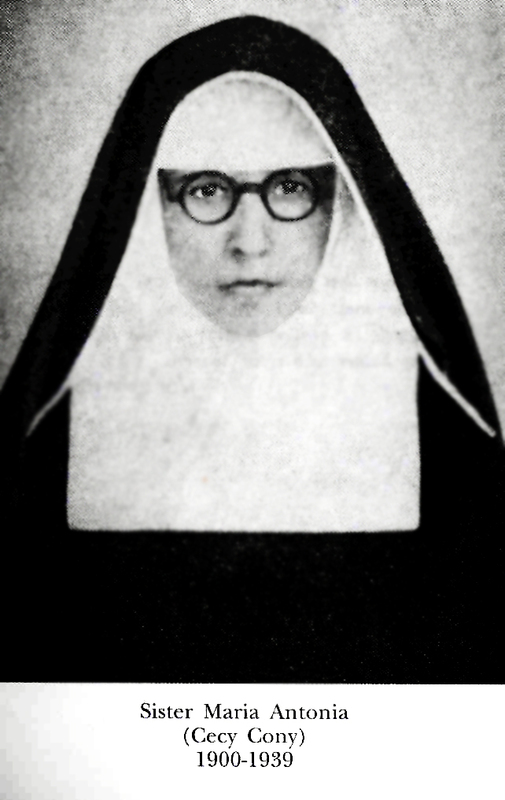 In September 1933 Bishop Múgica of Vitoria published a circular that denied the Ezquioga visions any supernatural content and prohibited all related materials. Seers were forbidden to go to the vision sites under the penalty of being denied the Eucharist. 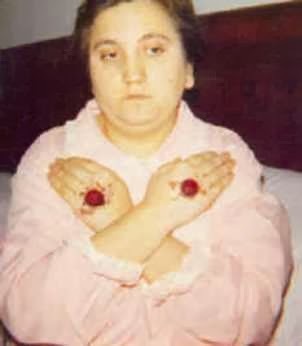 The bishop’s circular was followed by an outbreak of bleeding crucifixes and one seer began to receive mystical Communion in the form of a host-shaped object on her tongue. 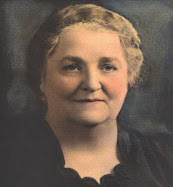 The Vatican issued a degree on June 13, 1934, that declared the apparitions and revelations of the Virgin Mary at Ezquioga devoid of all supernatural character and prohibited any books. Pope Pius XI signed it on June 14. Those involved refused to obey, in the hope that the declaration would be “reversed”. Eventually, interest waned due to unfulfilled prophecies. Sound familiar Glenn? For those of us who have followed Garabandal, we have at least two failed prophecies: the prophecy of the Popes and the "end of the times" and the prophecy that Joey Lomangino would recover his eyesight (please note that the prophecy was never that Joey would die and then recover his eyesight, but rather was always understood to mean that Joey would be alive at the time of the miracle and would recover his sight then). I think it is time for Conchita to come clean. If she can't divulge the date of the miralcle, she can at least be more open about those aspects of the apparition that she was not forbidden to disclose, such as the event "beginning with the letter A" that is synonymous with the Warning. Anonymous, I am quite aware of Spain's apparition history. I will be glad to post some of the countless miracle ( all supernatural ) that happened at Garabndal ,if need be. You are somehow confusing the term " "the end of the times" with a failed prophecy. Think for one second Did not a NEW ERA begin with Pope Francis? Well, it was over 600 years ago that the Church had two living POPES !! You don't explain how it is a failed prophecy ? I say with the 2 living Popes and that we ARE in fact in the era of the " Warning & Miracle" means the prophecy is about to be fulfilled ! Also Anonymous, why hasn't the Vatican come down on Garabandal if there are these "failed prophecies " ? Maybe because they understand them better than you do. You can't even admit there were supernatural events there, so its no wonder you can't understand all the prophecies. I have already pointed out the supernatural event , predicted by Mary 15 days in advanced ,of the Eucharist appearing on Conchita's tongue, and it was verified by 2 cameras, but that's not proof enough for you ???? What else could Mary have done to please you ? Here's just a few of the countless miracles Mary performed for you "doubting Thomas's ". BTW, if you knew anything about the apparitions, the "A" word was already talked about ,in reference to the Warning. As a young uneducated child she had never heard the word before. I know what it is, but why waist my time with people who don't listen. I try to put down the following three points. The reasons for such caution are rooted in the Church's common teaching. St. Thomas Aquinas and St. John of the Cross both assert that as a general rule mystical phenomena (whether in the lives of saints or in apparitions) are the work of the angels. Unless God Himself needs to act to immediately produce an effect (such as to create out of nothing or to infuse sanctifying grace into the soul), He works through creaturely instruments. Thus the intellectual lights granted in contemplative prayer, the visions and locutions of private revelations, the levitations of the saints, the ecstasies of mystics and visionaries, and most external phenomena associated with mysticism, are produced by the angelic nature. Since both good and evil spirits possess the angelic nature the presence of such phenomena alone is an equivocal sign of authenticity. This means that a great deal of unexplained phenomena can occur without indicating positively that the event is from God. This is why the Church looks, among other things, for evident supernaturality, that is, for effects beyond the ability of men or angels which can be attributed to God alone. (2) Even the local bishop decided "it is established not supernatural” (Category 2 below) or “it is not established supernatural” (Category 3 below), it is still possible to have future revision. For Garabandal, the occurrence of the Warning will likely allow a revision. 2. Constat de non supernaturalitate. The judgment that an alleged apparition has been shown to be not supernatural means it is either clearly not miraculous or lacks sufficient signs of the miraculous. ...[omitted]… Finally, it may be that the doctrine may be sound and there may be phenomena, but insufficient to demonstrate supernaturality. In this latter case, there would seem to be a possibility of revision. (3) The Church did not condemn the message (see below). The Church did not prevent the participation of Catholics based on their private opinions. LETS TALK ABOUT THE TRUTH... THE VATICAN NEVER AGREED WITH THE BISHOPS COMMISSIONS OR THEY WOULD HAVE RULED RIGHT THEN AND THERE IS WAS NOT AUTHENTIC! DO YOU DUE DILLIGENCE ! THE COMMISSIONS WERE A FRAUD, CONDEMNED BY THEIR OWN PRIESTS, DOCTORS AND THE POLICE !!! FACT : THEY RULED WITHOUT SPEAKING TO A SINGLE PERSON ! HOW CAN YOU MAKE A RULING BY AVOIDING EVRYONE UNLESS YOU ARE NOT INTERESTED IN THE TRUTH . “Well, none of the Commissioners, who rejected the supernatural events at Garabandal, ever asked him to testify, nor did they deign to even interview him, who was the “official informant” to the authorities. This detail suffices to illustrate the “true and impartiality “ with which the various episcopal commissions endeavored to inform themselves. Juan Seco : “ THEY WERE NOT INTERESTED IN BELIEVEING WITNESSESS, BUT ONLY THE UNBELIEVING. THEY WANTED AT ALL COST, TO DISCREDIT THE MANISFISTATIONS, AND IN ORDER TO ACHIEVE THIS, THAT HAD TO ELIMINATE ANY WITNESS,INCLINED TO BE FAVORABLE, NO MATTER WHAT HIS COMPENTENCY”. I do not disagree with you. Actually, I respect your promotion of the Garabandal apparitions. Personally, I believe in the Garabandal apparitions because of my own experience with the medal that I carried in the past 35 years. I try to understand the view points and have read quite a lot of documents in the last few weeks. It seems to me that the tradition is that the Church did not treat the actions from angels as “Supernature”. I would expect this was the main argument for the decision from local bishop, and later the Congregation for the Doctrine of the Faith did not consider it opportune to intervene directly. The simple truth here is that the Vatican realized the Commission was fraudulent ( by never interviewing anyone, or even taking the reports from their own priests & Doctors,as to its valitiy ) and it did not want to embarrass the Bishop,or any other Bishop who supported this lie, so they remained silent BUT not one POPE has EVER uttered a negative word against Garabandal, and several has encouraged its promotion ! This FACT is what the detracts fail to ever mention. The Bishop does NOT have the final say here, the POPE does, and they ALL have agreed to wait until the Miracle before ruling. IF they did not believe, they would not be waiting, simple TRUTH . In the morning of October 17, Conchita received on behalf of Padre Pio a short written message, a large section of the veil that had covered Padre Pio's face after his death, and also one of Padre Pio's gloves. Delivering these gifts to her from Padre Pio was the Italian Capuchin, Fr. P. Bernardino Cennamo. To pretend to know the Mind of God and then to claim that since the prophesies were not fulfilled according to our desires or our interpretations completely negates that truth that like it or not, our minds are just too puny to judge the Mind of the Infinite. Just my slant. God's Blessings to all. First, the Vatican never said that the original Garabandal Bishop's Commission was fraudulent. The Vatican has consistently supported the decision of the local bishop in Garabandal, and that decision has been unanimous: that the supernatural was never established at Garabandal. Second, a few posts above you hinted that you do indeed know the event of the Warning "beginning with the letter A" that Conchita cyptically (and rather strangely if you ask me) alluded to years ago, but you then go flat and refuse to divulge this event "beginning with the letter A" - the identity of which Conchita was not forbidden to divulge - although she said she felt better not mentioning it (which begs the question of how it is you now claim to know its identity). Why all the secrecy and cryptic hints.? This is not how God works. God is open and works in the light. Also, another question: why would God wait so long to confirm the supernatural veracity of Garabandal, assuming it is genuine? Every other approved apparition was accompanied by a supernatural event given to the local bishop as a sign of authenticity. These supernatural confirmations came relatively soon after the initial apparition. But not so with Garabandal, where decades have passed and still no supernatural sign given ot the local bishop as proof of authenticity. If find this strange. Why would God leave us hanging? Any thoughts? Which ever "Anonymous " you are, you really are incorrect and confused about almost everything. First, The reason the Vatican HAS NEVER RULED AGAINST Garabandal IS THE FACT THEY FOUND OUT THE COMMISSION WAS A FRAUD ! The listened to the priests, doctors , and the Civil Guard who all asked to be interviewed by the Commission, BUT WERE REFUSED ! THE COMMISSION RULED WOITHOUT TALKING TO THE GIRLS !!! The Vatican has countless stories ON FILE from priests AUTHENTICATING THE APPARITONS, THATS WHY THEY CANT RULE AGAISNT IT. They were so convinced by Conchita's interviews, that POPE PAUL VI BLESSSED HER AND ASKED FOR ITS PROMTION !!! “ Conchita, I bless you and with me the whole church will bless you “. "It is the most beautiful story of humanity since the days of Christ. It is like a second life of the Virgin on earth. And we can never be grateful enough for it." "It doesn't matter; tell these gentlemen that it is the Pope who has said that it is most important and most urgent to make these messages known to the world." Quite frankly I'm tired of people like yourself who really don't bother to read ALL the information about Garabandal, and who just want to discredit it ,based on misinformation ,rumors or lies, and demand answers from me. Why should I bother, everything I say makes no difference in your opinion,so I rather not jeopardize my friendship with Conchita , for the likes of nameless unbelievers. Lastly you obviously never read any of the dozens of supernatural events that Mary provided. She announced the appearance of the Eucharist on Conchita's tongue 16 days in advance !! It was filmed by camera's , appearing out of thin air , on to her tongue, infront of dozens of eyewitnesses ,WHO DEMANDED TO BE INTERVIEWED BY THE COMMISSION, BUT GUESS WHAT ??? THEY WERE REFUSED. Mary performed miracles almost on a nightly basis for these cowards who refused her proof. So, read before you make comments ,would you like free online books to educate yourself ? COMMISSION PRIEST RESIGNED ! FINDING NEVER SENT TO VATICAN ! the permission of the bishop at the time, publicly reversed his original negative position, after having received an asked-for miraculous sign. FREE DOWNLOADABLE BOOKS -GET EDUCATED ! With all due respect, you are either misinformed or are spreading disinformation: the Vatican NEVER said that the Bishop's Commission was flawed. In fact, the only time the Vatican has officially spoken on the matter of Garabandal it was to CONFIRM the Bishop's ruling. I am still waiting for you to elaborate on your comment above regarding the "event beginning with the letter A" that is synoymous with the Warning. You say that you know the identity of this word beginning with the letter A, but then you say that you will not waste your time saying it because the critics "don't listen." Well, I could just as easily say that you don't listen, so in the interests of an open discussion I think you should share the "A word." Also, I would like to know how it is you know this "A word" with certainty given that Conchita herself has stated publicly that she will not divulge it. It reminds me of the Miracle date which on one hand Conchita says she was forbidden by the apparition to divulge, but then on the next hand gives the date to someone at the Vatican (against the Virgin's express orders). Something is not adding up here. Anonymous, I''ll explain it again so you can understand what happened. If the Vatican believed the Commission ,they would have condemned the apparitions immediately ! BUT they did a careful study and actually interviewed priests and Conchita twice ,and BELIEVED IT HAD MERIT ! That's why they are waiting for the Miracle. They don't want to come right out and say Opps,the Bishop & Commission LIED, its embarrassing, and we all know the Church doesn't like to be embarrassed. Why else would Pope Paul VI issue public statement in support of its belief and promotion ???
" somebody " at the Vatican ,his name was POPE PAUL VI . The leader of the Catholic Church. The Vatican never attested to the supernatural veracity of Garabandal. Nor did the Vatican say that the Garabandal Bishop's Commission lied, as you have asserted here. The ONLY time the Vatican has OFFICIALLY spoken on the matter of Garabandal it was to CONFIRM the decision made by the local bishop that the supernatural was not present. You still refuse to address my question regarding the event "beginning with the letter A." You still fail to comment on the fact that every other approved apparition in the history of the church had a supernatural miracle given to the local bishop as a sign of authenticity. Just having a good "message" is not good enough. God always confirms his messages and messangers with supernatural signs of authencity. Such a sign has not occurred at Garabandal. Why would God have us wait decades for such a sign? It is an evil generation that looks for a sign. Anonymous ,you prove my point once again. YOIU DONT LISTEN to the truth. I have already pointed out one of the greatest supernatural events at Garabandal ( the Eucharist appearing on Conchita's tongue ) announced 15 days in advance and filmed & witnessed, and your response... NO SUPERNATURAL SIGN WAS GIVEN YET ???? ( Was it not a supernatural sign that the girls could walk over rocks ,looking up at Mary reciting the ROSARY, and not get injured ??) I could filled this useless blog with HUNDREDS of supernatural stories, but it wont make a difference to people like you. YOU IGNORE the examples and truth when it is put infront of you. I think I'm done waisting my time with this conversation. I feel for you Glenn H. I first heard about Garabandal from my father 47 years ago when I was just 16 years old. I'm 62 years old now. I've always believed in the apparitions from the day my dad introduced me to them in 1968,--and I still do. I've tried in vain over the years to convince my University of Chicago-educated, intellectual brother, of the authenticity of Garabandal, but he steadfastly refuses to believe in them. Most in my family perceive me as being "crazy" for believing in Garabandal for so long. I've just accepted the fact that they won't believe until as St. Pio of Pietrelcina says, "...it is too late!" I firmly believe (for a variety of reasons) that we can expect The Warning to occur sometime after the beginning of Spring next year and The Great Miracle in the Spring of 2017. But for now, I think it's best to heed Conchita's advice and simply fulfill the Message to the best of our ability. 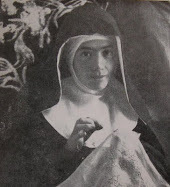 She says, "There is no use believing in the apparitions if we do not comply with the message,--if we fulfill the Message, it doesn't matter if we don't believe in the apparitions." So, if 'Anonymous' is fulfilling the Message, it doesn't matter if he believes or not. Anyway, I've learned that no matter what we say or do, nothing can convince others if their mind and heart is set against it. "For those who believe in God, no explanation is necessary. For those who do not believe, no explanation is possible." Thanks for your post and thoughtful advice Edward. Its been my experience (as you pointed out ) that pages like this really accomplish little or nothing. The quote you end with is my tag line on many web sites,lol. Very few have ever listened and changed their minds ( on either side )but the only difference is that I lived and worked with Joey ( and Conchita ),and feel an obligation to carry on his work, knowing we are close to the events of the Warning & the Miracle. So in a few years, one of two things happen. 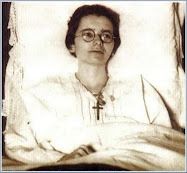 I would rather have spent my life dedicated to spreading and living our Blessed Mother‘s messages of Garabandal , only to find it was not so, then to have spent my days trying to discredit and insulting her and her messages, only to find out THEY WERE TRUE ! I have no way of knowing the origins of this miracle. I can say this...because this I know. To be willing to appear foolish for the love of God is a pre-requisite to being close to Him. So Glenn H....Yeah for you. The enemy in the father of lies and confusion...let's not play his game here. Whatever truth is here, it is not for us to know just now. If we need a warning that our earthly lives will end..or the earth will see an end time...we're already in trouble. Let us all thank God, Father, Son and Holy Spirit for His love and for each other.. I am sure of two things. I was placed here to do this, and those who do not believe should be cautious in who they are attacking and trying to discredit, its not my plan, its God's. “ You did not choose me, but I chose you and appointed you so that you might go and bear fruit — fruit that will last—and so that whatever you ask in my name the Father will give you. 1. Garabandal's "message" adds nothing to the deposit of the Faith and tells us things we should already know and already be doing as Faithful Catholics. 2. A supernatural miracle was never given to the local Bishop of Garabandal as a confirmation of the heavenly origin of the messages. It is the local bishop of Garabandal (and after him the Pope) who has the final say on Garabandal - not Saint Padre Pio, Mother Teresa, nor any other holy person or saint. It could very well be that Garabandal was a well-crafted satanic trick meant to do one thing and one thing only: keep some Catholics more obsessed with Garabandal than with anything else and sow the seeds of disobedience among those same Catholics, who will find it very hard to let go of Garabandal if it is eventually condemned following the non-arrival of the Warning and Miracle. Glenn, you still are evading my comments above regarding your knowledge of the Warning event 'beginning with the letter A." Why so coy? A "well -crafted trick of the devil", LOL. Anonymous, this is the very reason I do not waist time trying to educate you . How does "the evil one " benefit from people being told to REPENT,GO TO CONFESSION, MASS, COMMUNION, SAY THE4 ROSARY ???? YOUR LOGIC IS ILLOGICAL ! I provided crystal clear evidence of a Euchasitic Miracle ,yet you have no comment on how a 12 year old mountain girl could possibly pull off something like this infront of hundreds of eye-witnesses,and 2 cameras ! WHY DO YOU EVADE MY TWO ABOVE QUESTIONS ? WHY ARE YOU COY ? OR IS IT THT YOU HAVE NO ANSWER TO GIVE ??? 3 Popes have been supportive of Garabandal , so that trumps your "local bishop " authority, because if they believed his lies, thaey would have condemned the apparitions BUT THEY NEVER DID. I provided you with free online books to read, it is there you will find your answer. You are spreading disinformation. Whether it is intentional or not I don't know, but I will give you the benefit of the doubt and just say that you are not very well informed. For example, you say that three Popes have supported Garabandal. Let's be more accurate. By "support" you mean unofficial, uncorroborated statements given by third parties that have never been officially sanctioned by the Vatican. Even if these alleged statements of "support" are accurate, they DO NOT trump the official judgement of the local bishops of Garabandal, a judgement that the Vatican OFFICIALLY supports. As to your other two points, the Devil cares not a wit if there are some good fruits from a demonic apparition, if the PRIMARY FRUIT is disobedience to the local bishop. If Satan can trick some Catholics to make some sacrifices and say a few rosaries but in the end have those same Catholics doubt and disobey the local bishop, then Satan is willing to lose a few battles if in the end it means he wins the war. As for your assertion that the visible host photographed on Conchita's tongue was a "crystal clear" supernatural miracle, such an assertion does not correspond to the judgement of the local Bishops of Garabandal who have all confirmed that the supernatural could not be established at Garabandal. I have not been coy Glenn. I have consistently stated my views here and have answered your questions. It is you who still refuses to explain how it is you have knowledge of the "event beginning with the letter A" that is synonyous with the Warning, despite the fact that Conchita has consistenly refused to make this knowledge public. When pressed on this discrepancy, you immediately clammed-up and claimed that you would not waste your time explaining this discrepancy to the critics here because "we don't listen." Nonsense. We are listening and waiting intently. Anonymous why do you care about the " A" word, it makes no difference? It's not going to change your mind. You have refuted every piece of evidence I've given, and this too you shall refute. Continue in your disbelief, and mercy on you at the Warning. This is for those who do not know or would like information about just one of the supernatural events at Garabandal, "The Little Miracle". To read about it :The "Little Miracle "
This event proves beyond a shadow of a doubt two things. First, that Mary provided visible proof of her apparitions by predicting this. Second, it proves many peoples opinion that the Bishop and the "Commission" wrongfully discouraged belief in the apparitions by not claiming this was supernatural. Ask yourself , if Mary announced this event 15 days in advance, was filmed by 2 cameramen standing right next to Conchita, and dozens of eyewitnesses standing close enough to verify the host appeared out of this air, and Conchita never moved her hands, how in God's name is this not a miracle and supernatural ? The Bishop & Commission refused the eyewitness testimony of EVERYONE THERE ! This is why the Vatican never believed their findings, and would never condemn Garabandal....becasue they denied our Blessed Mother and lied ! I am still waiting for you to explain how it is you have knowledge of the event "beginning with the letter A" that is synonymous with the Warning, when the primary seer herself has consistently refused to make this knowledge public. Evading this discrepancy does not help your case. Also, you say that the "miracle" of the visible host proves the supernatural veracity of Garabandal. Nonsense. You have committed the fallacy of begging the question: you are taking for granted that it was the Blessed Virgin who appeared at Garabandal. There is no authoritative reason to believe this to be so. The first and primary authority on this matter is the local bishop and the local bishops of Garabandal are on the record stating that the supernatural veracity has not been established. If someday the local Bishop of Garabandal is given a supernatural proof of the veracity of Garabandal, then and only then may we say that this apparition was of heavenly origin. Until then I will remain skeptical and ask legitimate questions - questions that you continue to evade. Anonymous, and you denying the pre-announced filmed ,and eye-witnessed "Little Miracle " doesn't help yours. If God can not convince you, I sure as heck can't. We don't know for certain that God was behind Garabandal. Quit taking for granted that God was behind Garabandal. For all we know, Satan was behind Garabandal. I don't like gambling with my Faith. I will wait until the competent Church authorities tell us who was behind Garabandal. While I admire your tenacity and passionate defense of Garabandal, I will remain skeptical and open to evidence for and against, until such time that the Church rules one way or the other on Garabandal. I do agree with one of the comments above that it is strange that it should take decades for the local bishop to be given a supernatural proof of authencity, but perhaps God has allowed Garabandal to linger in obscurity and mystery because he is saving the best for last. I would also take exception with one of the posts above where the poster said that it is an evil generation that seeks a sign as if to imply that seeking the Warning and Miracle is somehow inappropriate. What about the Miracle of the Sun? This was surely a public supernatural sign. To those who do not read about the apparitions, only focus on the first Bishop's opinion, they fail to realize WHY HE WAS SO BIASED AGAINST THE APPARITIONS. Regarding the Bishop & commission, I am pretty sure that this comment from Mary held some weight their decision, sadly. Of course, Mary was right. We need to pray for our priests always; BUT She called them out ! She said: "Many cardinals, many bishops and many priests are on the road to perdition and are taking many souls with them. Less and less importance is being given to the Eucharist. You should turn the wrath of God away from yourselves by your efforts." So maybe now you can look at his decision with clarity and see why he refused to acknowledge countless supernatural events, ON A DAILY BASIS for 4 years ! "For those who believe, no explanation is necessary. For those who do not believe, no explanation is will suffice." When a bishop rules on an alleged apparition, he is not exercising his "opinion." He is exercising his charism and authority. Yes, but it IS still HIS opinion, and the obvious reason he KNEW he could not convince the Vatican, is because he NEVER sent HIS report in writing. Obviously no FACTS to back up HIS opinion in writing. Pope Paul VI had no problem voicing his opinion ,thank God. No Pope has ever commented on Garabandal officially and in writing. Maybe via some third party, unofficial source, but never in any official capacity as Pope. The Bishops of Garabandal have unanimously and officially stated that the supernatural could not be established. This was not their opinion. This was not a flawed assessment. Anonymous, your arrogance is only outshined by your ignorance. GET YOUR FACTS STRAIGHT ! Both Popes Paul VI and John Paul II have been written about in BOOKS ! People didn't just make this stuff up. I can not stand discussing Garabandal with stubborn ,blind to the facts people ,who ignore every example placed in front of them. Please don't bother me anymore here, until you read research and read. You waist my precious time of my apostolate every day, may God forgive you ! I searched the internet and can't find the original primary source documents from Popes Paul VI and John Paul II citing support for Garabandal. The only source seems to be from a third party, Albrecht Weber. The same could be said for the alleged support given by Padre Pio and Mother Teresa: in all cases the only evidence of this support comes from third parties; there is never any original, official documents presented as evidence. "The Holy see has always held that the conclusions and dispositions of the Bishop of Santander were sufficiently secure guidelines for the Christian people and indications for the Bishops to order to dissuade people from participating in pilgrimages and other acts of devotion that are based on claims connected with or founded on the presumed apparitions and messages of Garabandal. ...this Sacred Congregation wishes to assert: that the Holy See has never approved even indirectly the Garabandal movement, that it has never encouraged or blessed Garabandal promoters or centers." "However promoters of the Garabandal movement have tried to minimize the decisions and the jurisdiction of the Bishop of Santander. This Sacred Congregation wants it to be clearly understood that the Bishop of Santander has been and continues to be the only one with complete jurisdiction in this matter and the Holy See has no intention of examining this question any further, since it holds that the examinations already carried out are sufficient as well as are the official declarations of the Bishop of Santander. There is no truth to the statement that the Holy See has named an Official Papal Private Investigator of Garabandal and affirmations attributed to the anonymous personage to the extent that the verification of the Garabandal apparitions lies completely in the hands of Pope Paul VI and other such expressions that aim at undermining the authority of the decisions of the Bishop of Santander are completely unfounded. In order to reply to certain doubts that you expressed in your letter this Sacred Congregation wishes to assert: that the Holy See has never approved even indirectly the Garabandal movement, that it has never encouraged or blessed Garabandal promoters or centers. Rather the Holy See deplores that fact that certain persons and Institutions persist in formatting the movement in obvious contradiction with the dispositions of ecclesiastical authority and thus disseminate confusion among the people especially among the simple and defenseless." Saint Padre Pio, Saint Pope John Paul II, Blessed Pope Paul VI, Pope Benedict XVI, Blessed Mother Teresa, Saint Jose Marie Escriva, Cardinal Ottaviani (Vatican Prefect of the Sacred Congregation for the Doctrine of the Faith) , ArchBishop Carlos Sierra of Oviedo Spain, ArchBishop Manuel Lopez of Mexico, Bishop of Fatima Joao Venancio, Blessed Maria Rafols, Blessed Madre Maravillas, Venerable Fr. 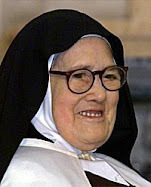 Ciszek , Venerable Padre Nieto, Mother Angelica and others. All believers in Garabandal,but those of you who are spititually wiser, and want to hold on to the "tained findings" of the Bishop & Commission, go ahead. if THE VATICAN BELIEVED THAT LOAD OF NONSENSE YOU POST ,IT WOULD BE CONDEMNED ,BUT ITS NOT !!! THIS IS ABOUT FAITH ,YOU DON'T GET IT. WHEN THE WARNING & MIRACLE HAPPEN, ( AS EVEN PREDICTED BY OTHER SAINTS AND MARIAN APPARITIONS ) HOW WILL YOU DEFEND YOURSELF TO MARY AND HER SON ,FOR TRYING TO DISCREDIT HER ? ACTS 5 :39 "But if it be of God, you cannot overthrow it, lest perhaps you be found even to fight against God. " I'm taking a break from this forum for a while, to educate people who want to listen,they are pouring into my sites by the thousands ! "For those who believe, no explanation is necessary. For those who do not believe, no explanation is will suffice." Goodbye & God bless. I had to have a bit of a laugh. On Mother of God forum, Glenn Hudson correctly pointed out all the failed prophecies from MDM as proof it must be false. But he can not see how the failed prophecies of Garabandal also prove Garabandal was not from God. "There will be only 3, no 4 more popes, then NO MORE." In reference to Garabandal, I always found the supernatural phenomenons associated with children to be peculiar. Levitation, contortions, walking backwards, trance like states and the inability to feel pain ironically equals the extend of power given to the Devil. These physical feats have all been associated with possessions. The list of predictions that have not come true continues to grow. Interpretations will continue to distort to fit the needs of those who are weak of mind and faith. In time, these predictions will be become twisted that supporters will harp that they are not to be taken literally. That each of us will experience the miracle and chastisement in our own way, likely not even here on Earth. I do not deny that good fruits that have come from this experience. God permits certain evils to continue to bring about a greater good. Even the damage that has been done to people who have been introduced to the faith through Garabandal can be rectified. The sacraments of the Church is one way this can be accomplished. But what Garabandal, and most certainly Medjugorje has taught us is that the Devil is an extremely intelligent being. His ability to deceive cannot be underestimated. He has allowed people to be psychologically preconditioned to feel an experience while teaching us that now even the Mother of God is fallible, while the seeds of doubt have been planted for those who cannot see the forest for the trees. Even Abraham saw the coming of Jesus. So let's be very careful when we want to comment anything about OUR FATHER. HE CANNOT be dictated by any political thinking of a church or an individual unless it's about glorifying Him. If the church loses focus, (Don't forget satan attacks even decision makers of the church) God will use any means to psss on His message to His people, more often those who have 'nothing' in society. If you have a problem of understanding things, ask GOD to reveal to you. If you don't get an answer don't comment from academic point of view. Our GOD is not a problem that you can solve mathematically. We should admit that we have failed GOD and we need HIS forgiveness urgently. WHo will you follow in these trying times, what GOD says or what Church says? To the commenter directly above: Just one important comment, and that is that Jesus and His Church have one and the same message, because Jesus is ONE with His Bride, the Catholic Church, and it is the Holy Spirit, sent by Jesus after His Ressurection, that guides the Church. So, it is not a matter of following one or the other, as they are intimately united and are One. Michael, You are quite right about Garabandal being of the devil. This is what was publicized. From 1961 until 1965 four teenage girls saw visions of the Virgin Mary, the Christ Child, and angels. They received messages of the coming Chastisement, a coming warning, and a future miracle. What is unique about this phenomenon is that almost all the games Satan plays were used with these girls. THIS WAS NOT A FRAUD. There is too much evidence of the other world here. It all started when the girls decided to steal some apples from the school teacher's tree. They were thrown to their knees by an invisible force. In this first apparition they saw an angel. It must be remarked that angels do not allow humans to kneel before them. Throughout the four years of the apparitions all the powers of Satan were used. The girls were taken into the air many times One time one of the children was lifted over the top of a building. They were made to do ungodly movements of the body: taken swiftly above the ground, down the rocky hill hundreds of feet to meet "The Lady?". In every case the children were FORCED to their knees in a quick undignified manor. Many times they were forced with their heads backwards in a position that could not be done naturally. All of the children were heard to speak in LANGUAGES they did not know. On one occasion they prayed the "Our Father" in Greek. The girls were seen LIFTING each other up above their shoulders to kiss the lady. However, at other times, three grown men could not lift them. Several times the girls were found SCREAMING. There were many "SIGNS IN THE SKY" seen by many people: moving stars, hosts, images, etc. In one case a fire was seen and the "Virgin" claimed that she had come in this FIRE. In one very celebrated case the "angel" gave communion to Conchita and the host could be visibly seen by everyone. She was told to hold out her tongue until the "Virgin" came. She stayed with her tongue outstretched and the host on it for a long time. Many photographs were taken. In almost all the apparitions the girls entered into dialogues with the "Lady" about all kinds of NON-SENSE things, like how the Lady liked their clothes. The children were given the "Child Jesus" to pass around to each other like a TOY. Never once in the thousands of true apparitions we have studied did Christ or Mary ever say a SINGLE WORD that did not have a salvation meaning for the soul. Please provide the sources of your claimed “Official Declaration”. You can say this is your opinion, but you committed a sin by putting some opinions into an “Official Declaration”. Dear R Kwok. I am a faithful Catholic who seeks truth. When something is not making much sense I search for the truth. I do not search for the truth through promoters eg. Glenn Hudson. He has his own prideful agenda. I search for what the church says. Firstly. The Mother of God NEVER gets any prophecy wrong, and Garabandal has a long list of failed prophecy that promoters twist after it fails. The Bishop of Santander has 'twice' published his writing against Garabandal in magazine. This I have posted a number of times. But google "Garabandal - Unity Publishing" There you will find some copies of words from our church. BTW. I first hand witnessed todays Bishop not wanting a bar of the alleged apparitions of Garabandal. The church has spoken so many times against it! May God Bless you and guide you to the truth. If I may share a perspective on the death of Joey Lomangino . As I recall, our Lord once said "tear down this temple and in three days I will raise it up again". And did not the wise men of those days not understand what our Lord had meant? Then who are we to know what our Lady meant? Who are we to say "God cannot make Joey SEE on that great day"? I thought God was God of both the natural and supernatural. It is unwise to attempt to use human rational to define God's actions. If people really discerned Garabandal's and Medjugorje's message they would know it is one of conversion back to God. You only need to see with your own eyes the state of the world we live in now. The prediction of when this Warning and Great Miracle happens does not concern me. I know it will happen. The exact date is irrelevant. What is relevant is the time you have left, not just for yourself, but for your love ones and the people around you. Good people. I don't think you fully understand what is at stake here. Otherwise, you wouldn't be wasting time trying to decipher the meaning of everything. WE ARE AT WAR! And have been for some time. This is a spiritual war. You are living the Book of a Revelations now. I would have never said this three months ago. It was only after praying the rosary daily intensely, fasting, and returning to Mass did I begin to see. Your prayers are not just for yourself. They are for those around you. Everyday you are surrounded by those who do not acknowledge God. It is your duty as their friend and apostle of our Lord to pray for them. If they suffer the fate of not receiving eternal salvation then you are just as guilty if you do mention them in your prayers. All Catholics who devote themselves to the rosary daily, fast, and attend Mass FEEL right NOW an uneasiness in their body. As our Lady has said, we are all connected in one Temple... And only those who truly devote themselves to prayer and fasting can feel this tension. Do not waste your time trying to decipher the code. The clock does not start ticking on the day the warning begins. It has already started. And even now, many who read this will fail to see the magnitude and gravity of the situation. If you truly wish to SEE what's happening then pick up your sword, your rosary, and wield it as it was meant to. Now, lets address the ridiculous "demonic " comments. What YOU ANONYMOUS folks ALWAYS CAREFULLY OMIT IS THAT THE GIRLS WERE SAYING THE ROSARY WHILE WALKING BACKWARDS OR OVER ROCKS ,AND SUCH ! How in the world does satan benefit from the onlookers watching the miraculous ecstatic flights saying the rosary ??? Go ahead YOU explain that to me ! Who ever "cut and pasted " the Unity article, open your eyes. Here's another lie. Now lets address the issue about what the BISHOPS AND VATICAN REALLY THINK ABOUT GARABANDAL ! 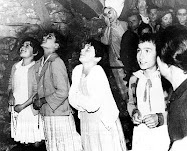 Since 1982, Bishop Val Dal Gallo opened his eyes, after a miraculous healing (after kissing a crucifx ,kissed by Mary at Garabandal ) and he put forth nothing but positive statements about the apparitions. Bishop Blasco followed supporting Gallo's position,and the current Bishop Zamora, made a most positive public sign. On May 1, 2013 the Bishop again celebrated Mass in the village church of Garabandal and prior to the Mass, KISSED A CRUCIFIX belonging to villager David Toribio,that WAS KISSED BY THE BLESSED VIRGIN MARY AT GARABANDAL. Not to mention the reason the Vatican has NEVER issued a single negative word is their belief. Popes Paul VI, John Paul II, and Benedict XVI have all supported it ! WOW , I'm back and where do I start ? FIRST OF ALL UNITY PUBLISHING IS A JOKE ! I have refuted all its lies in writing to the owner ,and he has refused to publish my comments ! I WILL PAY MONEY to see IF THERE ONE LEGITIMATE PICTURE OF ANY OF THE GIRLS FLYING OR LEVITATED OVER A HOUSE !!! IT NEVER HAPPENED . I CHALLENGED UNITY AND ANYONE ELSE OVER THE YEARS ,I STILL HAVE ALL MY MONEY ! STOP SPREADING LIES ,ALL OF YOU ! If the prophecies of Garabandal are true, why do you worry? Is it because nearly all of them have failed? Scriptures tell us how we should judge. Glenn Hudson. What garbage that 1982, Bishop Val Dal Gallo opened his eyes to Garabandal and through that we are meant to believe. Here in 1996 and again in 1997 the Bishop of Santander spoke AGAINST Garabandal and said it FINAL. So Glenn Hudson. Why do you ignore the words of the Bishop? He has said the Holy See has supported his decision. But you continue to push this false apparition. Anonymous's first of all, maybe you all should "relax" with your attacks. Why do you spend so much effort trying to discedit our Blessed Mother ? I hope you dont have to explain yourself to her Son oneday,good luck with that. To the Anonymous who quoted the 1996 Bishop's opinion, UM HE'S NOT THE BISHOP ANYMORE,SO WHY DONT YOU LOOK AT WHAT THE CURRENT BISHOP DID,AS I POSTED. HE EVEN ALLOWED A NEW APPARITIONS INFORMATION CENTER IN THE TOWN, THAT SOUNDS LIKE HE IS CERTAINLY FAVORABLE ! BISHOP DEL VAL GALLO STARTED A NEW INVESTIGATION IN 1991 !! WHY CANT YOU ANONYMOUS PEOPLE EVER HAVE THE FACTS WHEN YOU'RE HERE ? Even the Archbishop is favorable ! SEE , I COME HERE WITH FACTS. In regards to Bishop Msgr. Jose Vilaplaua. Glenn Hudson says. "UM HE'S NOT THE BISHOP ANYMORE,SO WHY DONT YOU LOOK AT WHAT THE CURRENT BISHOP DID"
Sorry to get you again Glenn. I have personally seen the reaction of the "current" Bishop. When he was in Garabandal a few years ago to reopen the church. He did NOT want to have anything to do with the 'alleged' apparitions. It was a subject NOT to be mentioned! Confused Glenn. The Mother of God doesn't give failed prophecies or confusing ones so people like you can twist once fail. SATAN does! Um, Confused ,cowardly "Anonymous, there were articles written about him celebrating mass , with the " Garabandal kissed crucifix ! Again, try supplying some FACTS TO YOUR MISGUIDED OPINIONS. Oh, that's right , you have nothing to back it up,ooops. FACTS: ON MAY 1, 2013 BISHOP VINCENTE JIMENEZ ZAMORA CELEBRATED HOLY MASS IN THE VILLAGE CHURCH OF SAN SEBASTIAN DE GARABANDAL ( FIRST TIME A BISHOP CELEBRATED MASS THERE ) FOR THE 50TH ANNIVERSARY OF GARABANDEL AND THE RESTORATION OF THE CHURCH. In 2011, two 50th anniversaries were celebrated in Garabandal (1) for the first appearance of St. Michael on June 18, 1961, and (2) the first vision of Our Lady on July 2, 1961. The celebrations were conducted under the auspices of the Santander Diocese represented by the village pastor Fr. Rolando Cabeza (also dean of the area). During the celebrations, another ban was lifted when Fr. Cabeza, spoke of the apparitions from the pulpit, and read the two formal Messages of Our Lady at Garabandal. On May 6, 2012, current Bishop of Santander, Vecente Jimenez Zamora (installed in 2007) celebrated a Mass in Garabandal in commemoration of the completion of a restoration project of the village church. In a refreshments period after Mass, he was open and most cordial with all the villagers and visitors. On May1, 2013, the Bishop again celebrated Mass in the village church of Garabandal and prior to the Mass, kissed a crucifix belonging to villager David Toribio that was kissed by the Blessed Virgin at Garabandal. Bishop Jimenez's Masses in Garabandal were firsts, since no Bishop of Santander had ever said Mass in the village church from the time the apparitions began in 1961. Order the " Garabanddal Journal " magazine (out of Minnesota ). It has several back issue dedicated to the words and pictures of Bishop Zamora celebrating mass,with the Garabandal crucifix. My bet is you'll just make another excuse not to do it,and ignore the truth once again. I have nothing to do with this magazine, but it is a great source of FACTS AND DOCUMENTATION . Garabandal is not approved by the Catholic Church. This site should be removed. It is very frightening. Mary,it is not condemned either.As a matter of FACT ,did you know 3 Popes were very favorable Pope Paul VI, Pope Benedict XVI,and SAINT Pope John Paul II ! As a matter of FACT, The Vatican is anxiously waiting for the Warning & Miracle ,so they can approve it ! They have interviewed twice and that is why they are waiting....they believe her. One thing in Garabandal that mess with me. "At this I fell at his feet to worship him. But he said to me, "Don't do that! I am a fellow servant with you and with your brothers and sisters who hold to the testimony of Jesus. Worship God! For it is the Spirit of prophecy who bears testimony to Jesus." LOL, Anonymous ,you as a 12 year old, raised in one of the most CATHOLIC places on the planet, would not kneel at the sight of St. Michael ? Some people go bonkers over these alleged apparitions. Pope John Paul II, Pope Benedict XVI, Pope Paul VI, Saint Padre Pio, Blessed Mother Teresa,and many more didn't think they were "alleged". Well Glenn, they were not fools, but were foolish to believe the Garabandal hoax. Does that satify you? The people you mentioned were all just that : people, be it special people. But even special people can be misguided. Satan was at his best. Let it rest. I think that it is a very significant sign from heaven that Joey died on the exact anniversary day, June 18th, of the two public messages of Garabandal in 1961 and 1965. Albrecht, how wonderful for you, that you are spititually wiser than those Saints and Popes. Not many many people have audacity to tell Saint Pio, he is a fool. God help you if you have to face him one day. Joseph J; Joey’s dates are no coincidence ! Just some more facts about Joey that tell you this was a special man selected by God for a mission. Let’s look at all the dates pertaining to Joey's life ask yourself is it significant ? 2. After his accident that left him blind, he was in a coma for a week ! He woke up on THE FEAST OF OUR LADY OF MT. CARMEL ! 3. Joey was married on Dec. 8th, THE FEAST OF THE IMMACULATE CONCEPTION. 4. He died on the DOUBLE ANNIVERSARY OF THE FIRST APPEARANCE OF ST.MICHAEL AT GARABANDAL, AND THE LAST MESSAGE FROM MARY AT GARABANDAL. Hmmmm, I think I see a pattern here. People always fall into the human trap of "seeing is believing." Why do you feel that we would have to witness Padre Pio or Joey seeing the miracle in order for the messages at Garabandal to be true? Faith is believing without seeing. I believe that Conchita and the other girls saw Mother Mary and I believe that Mother Mary spoke only truth. To say that Padre Pio and Joey would see the miracle does not mean they would need to be alive here on earth and see the way we expect. We always let the restraints of our human logic stop us from embracing the true wonders of God. Furthermore, we, just like the apostles in Jesus' time, do not always understand what is being said when it is being said until so long after when God reveals to us that understanding. As a Christian, regardless of what was said at Garabandal, I believe in life after death. Therefore, I believe that Padre Pio and Joey will very well SEE the miracle when it happens as I'm sure those that live on in heavenly communion with God can see whatever God wants them to whenever and however He desires. We are talking about God - all powerful without limits. Stop being so quick to say this "closes the book" on Garabandal. If you are so quick to turn away from the glories of God, you will miss His mercy too. Things get pretty difficult when place our hopes and beliefs on signs and wonders or miracle. God, our Lord Jesus Christ and Mother Mary do not want us to place our beliefs in miracles but in the gospel. As for the manifestations in Garabadal, I believe it can't possibly be of diabolical essence or satanic manifestation. The message is too accurate and Godly to say that. As for the prophesies, even in the bible, not all were fulfilled as stated exactly by the prophets. Its difficult to reduce God to our intellects. Now, the message has no fault. Repent, go visit the Blessed Sacrament, go to confession and say your Rosary can obviously not be wrong or against the teachings of the church. I admire your faith and steadfastness Mr. Glenn. That is what God wants, faith and persistence in Christ Jesus. Whether prophecy comes true or not, its not for us to judge, time will tell but live and obey God. HAPPY 85TH BIRTHDAY IN HEAVEN TO JOEY LOMANGINO TODAY ! Not a day goes by that I don't think about how this amazing man changed and enriched my life. I met him as a boy ( and 20 years later again by heavenly design ) and he became more than just someone I worked with at the NY Center, he became a mentor, a spiritual adviser, and trusted friend. His humility,and sense of humor,were only outmatched by his courage that he showed everyday,as he would become the greatest apostole for our Blessed Mother and her messages at Garabandal. Anyone who ever met him, counted themselves blessed. God Bless you my friend. God has a plan! I believe in Garabandal and Joey is a part of it. Just because we don't know the final outcome of this wonderful story doesn't mean it's over. If God can make a universe, he can with a slight beat of his will bring Joey to Garabandal on the day of the Great Miracle, and give him new eyes to see this Great Miracle! I became suspicious of Garabandal after I saw an interview by Conchita from a Dr. Dominguez, where she said the following: "When I said (in the Vision) the word "Milagruco"(small miracle in Spanish while she was speaking to the Angel), the Angel "chuckled", which to me seemed out of place for an Angel to know expressions out of touch with heaven and far from it. It's like if I saw an Angel and I mentioned Red Skelton and he chuckled. After I saw that interview I knew for sure that all this was a lie. The interview of Conchita by Dr. Dominguez that I relate to I saw in Youtube under "Garabandal Conchita Interview by Dr. Dominguez". I feel that no-one has been deceived thus far... Was Joey promised when he would get his eye sight back, or was it that he would eventually see and that he will also see the miracle... This is what I believe....Yes, he has died...and because he has died, and, also, on such a special date and all, then, it is my belief that Joey is more alive now in his eternal life than he ever was here on earth...Therefore, he now can see more clearly than all the rest of us among the living...and I do believe too, he will see 'the miracle' from heaven where he now is...and will see it more clearly than we will who are alive on earth...I believe all things are possible with God and in death, true life is just beginning. I believe God will show us all things that are worthy for us to know and see on His timetable...So perhaps we all will learn when we get to eternity about Joey 'seeing clearly' with his eyes the miracle when it happens... Praise God! Ricardo, you obviously know little about Garabandal. The "little Miracle" as she called it was a HUGE MIRACLE ! Its no wonder the angel thought her 12 year old description was humorous, because many people thought the same thing, how could you describe something so amazing as a host appearing on your tongue ( filmed in front of dozens of witnesses ) as " a little Miracle " ? Oh my goodness does no one here read the Bible??? "However, no one knows the day or hour when these things will happen, not even the angels in heaven or the Son himself. Only the Father knows." Anonymous : you are talking about the second coming of Christ,are you not ? We are NOT. Garabandal is not about that, so try staying on topic here. All I can say about GARABANDAL is that I believe. .
Conchitta has respect. 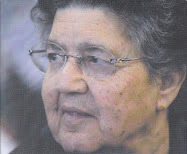 She respected the church and has stayed away from the spotlight. She is silent. . This is very important.. I do not know about medjugorje so I cannot condemn or speak of it. But about Garabandal indeed I will believe. I remember the blessed mother spoke in her message that something will happen and people might loose faith.. u never know maybe it's for joey's death who knows.. but put your trust in God jesus blessed Virgin mary. We need to see if these seers have respect. Indeed they have respect.. They are silent they are not on spotlight. Conchitta pray for me sister ! Joey pray for us your brothers and sisters here on earth. I believe Conchita. Sometimes words are not so black and white and have meaning. The Blessed Mother appeared to Conchita when she was younger and could have missed interpreted what the Blessed Mother meant. First of all youre like any other person that just makes conclusions without even thinking and like the doubting people during moses's time who always asks questions and thinks too literally. they may be dead physically, but are they spiritually? Joey will see the day of the miracle. Not joey will live to see the day of the miracle. Everybody in heaven will see the miracle. Padre pio saw the miracle before his death. Just because youre not on earth doesnt mean you wont see the miracle. Even mary and jesus will see the miracle.as for the popes, it is said that 3 more after pope john or whatever the name was the XXIII then would be the end of times meaning there are no more TRUE popes, only false ones. And for the body of father luis. It is to be found incorrupt AFTER the miracle not before. And people have already dug up the body. That just shows how doubtful people are today. And this is all a test. Life is a test to see if we are really capable of entering the kingdom of heaven but look whats already happened. Some people have failed the test due to their doubtfulness. Thank the lord for the warning. It may be scary but it is a chance to change our ways to enter heaven. The prophesy was that on the day of the miracle , all people will be able to see the truth about themselves, they will see how bad and good they really are, they will get a clear view of there consciousness and the ultimate truths. It is a veil being lifted. A glimpse of reality, not our ignorant Maya, to put it in hindu terms. And the soul of this man, just like all souls will see that ultimate truth on the very day of the miracle. Him being able too see on the day of the miracle likely has more to do with the rest of us being able to see him, and the reality that there is far more to a person than just flesh and blood. Besides that, padre pio confirmed this apparition... what else does one need to know? Greggory, just to correct one thing, the day you are referring to in not called the Miracle, it is called " The Warning". This is when we will see our sins as God sees them. The "Miracle " is the sign God will leave at Garabandal, after the Warning. I think it is erroneous to suggest the Garabandal apparations are the work of the devil. The devil would never encourage people to visit the Blessed Sacrament or to be good people, pray the rosary - the suggestion is absurd. Anyone suggesting anything "diabolical" has no idea of the events true nature. As was just stated above ,first the Blessed Mother stressed repentance, confession, daily mass and communion, and the rosary. Obviously these are all teachings of the Catholic church and in no way can be seen as ,anything but from God. Secondly, as an expert in Garabandal events, I've seen the "internet " twist the truth, and outright lie about certain events. Two such events are first that the girls walked backwards.The Girls always watched the Virgin Mary as they walked, sometimes forward and sometimes backward over the rocky cow paths. The walking backward especially (which is more impressive) has been suggested as diabolical by opponents of Garabandal. When in fact ,the girls always walked backwards away from the blessed sacrament, rather than turning their backs on it, as it's the case today for many in our Churches. Just because the girls walked backwards does not indicate anything demonic, especially when they carried crucifixes and recited the rosary while walking ! These ecstatic marches were not a diabolical sign but instead ,the opposite, another sign of authenticity of the apparitions, allowed by Heaven and also as a reminder of our obligations before the Blessed Sacrament. The other ridiculous claim of "flying in the air, NEVER HAPPENED. There were a few times when the girls fell backwards,and did not hit the ground ,instead remained about 4 INCHES off the ground. The problems with the claims of the promoters of authenticity of this alleged apparition are varied, but the most prominent are the use of logical fallacies. The two most egregious fallacies are "begging the question" and "appealing to authority." The former is obviously in use when the promoters refer to the alleged apparition as simply the apparition and then go on to stress in great detail what occurred during the apparition without qualification (never using a qualifying adjective like "alleged" or "so-called" and never using quotation marks, which would clearly denote the unknowable/disputed nature of the truth/authenticity of the alleged apparition, and only rarely acknowledging that details of the apparition are solely "according to Conchita..." for example). The latter is in use when the promoters constantly and vehemently refer to the official Church position as being "uncertain" or simply "not confirming" a supernatural nature of the alleged apparition, rather than an outright condemnation. But an official Church position which states that a supernatural nature cannot be confirmed is NOT anything to hang one's hat on, as it proves precisely nothing. Because it proves nothing, we are back to square one and the first fallacy of "begging the question" comes back to the fore. The burden of proof of authenticity of an alleged apparition of course falls upon those making/promoting the claim. No one else bears a burden of proof. At then end of the day, the promoters who insist on belief in such circumstances are operating in an "I believe because I want to believe" fashion. Blind faith is not truly faith, because truly discerning faith is inextricably bound with reason - unless one cares to argue against the greatest Catholic scholars of history. I never "insist" anyone believe. I always offer information to defend what I know is true. MARK MY WORDS ALL, When the Pope comes back from a visit from Moscow, hostilities WILL break out in Europe, and when things are at their worst THE WARNING WILL happen ( followed by the Miracle. ). The sound you will hear after that is my laughter, and the wailing of those who attacked our Blessed Mother and her message of repentance. Until then, God bless all. Glen H... How do you know all this? queensrealm: Few people in the world have been blessed with being so closely involved and well read on this subject. I have known Joey since I was 13 years old ( now 58 )and worked with him at the NY Center for 20 years and have known Conchita for over 20 years, and still personal friends with her also. Not only did I have access to every book every written but the two main people of this story Joey & Conchita ,to ask questions. After witnessing countless miracles from the Blessed Mother's " Kissed Medal " that Joey had, and seeing the living example of both their lives, I am 100 % certain this prophecy will come true, and in the not too distant future. I can accept...thank you for sharing. Re the death of Joey Lomangino and his receiving his sight. God can do all things. Nothing is impossible to Him. Didn't Jesus raise Lazarus from the dead? Then what's to stop Jesus from raising Joey Lomangino from the dead and granting him his sight on the Day of the Great Garabandal Miracle? Surely if Jesus chose to do this, it could be a part of the Great Garabandal Miracle itself. Okay but as for the fire it can be holy too. What about the burning bush or the flames at Pentecost? It describes a dream that Kevin Peters had regarding the tribulation. The dream begins with a very loud trumpet like blast followed by people resurrecting from their graves. This occurs before the tribulation. "For the Lord himself shall come down from heaven with commandment, and with the voice of an archangel, and with the trumpet of God: and the dead who are in Christ, SHALL RISE FIRST. Then we how are alive, who are left, shall be taken up together with them in the clouds to meet Christ, into the air, and so shall we be always with the Lord. Wherefore, comfort ye one another with these words." Hence, it is possible that during the Great Miracle that many will rise from the dead as Kevin Peter's saw in his dream and that Joey will be given his glorified body, with new eyes, and see the Great Miracle of Garabandal. hen there will be 1000 years of peace as mentioned in the Apocalypse Chapter 20 Verse 2. Thank you for your patience and dedication in providing so much information regarding the message of Garabandal. I was one of the people listed as a contact in the original Garabandal magazine. One contact to me was from a monastery in Ireland from monks interested in further information about Garabandal. Regarding your anonymous detractor, it seems that anything of holy import in this world must be decided by each of us, so there always arises something or someone that clouds the issue(s), making it necessary for us to decide what is true, and what is not. I believe that undeniable proof only comes from God, in His own time and own way. In this case, God's proof will be the Warning and Miracle, after which we can all hope that the Chastisement will be averted. Like yourself, I believe the handwriting is on the wall-- the Warning is close at hand. Thank you again for helping the world gain a clearer understanding of the facts surrounding the Garabandal events (Marian apparitions), and the meaning of the message of Garabandal. Those who came here to roil the waters failed in all they hoped to do, for in prodding Glenn they only helped him present more and more of the facts about Garabandal that people need to help them find the truth. Let those with eyes see, and with ears, hear. People: read your Bibles. Anything that contradicts the Bible is not from God. Garabandal is not from God. Neither is Fatima or any other "apparition of Mary". Mary is dead a buried. This is all a great deception of Satan. 𝐘𝐨𝐮 𝐚𝐫𝐞 𝐨𝐟 𝐲𝐨𝐮𝐫 𝐟𝐚𝐭𝐡𝐞𝐫 𝐭𝐡𝐞 𝐝𝐞𝐯𝐢𝐥, 𝐚𝐧𝐝 𝐭𝐡𝐞 𝐝𝐞𝐬𝐢𝐫𝐞𝐬 𝐨𝐟 𝐲𝐨𝐮𝐫 𝐟𝐚𝐭𝐡𝐞𝐫 𝐲𝐨𝐮 𝐰𝐚𝐧𝐭 𝐭𝐨 𝐝𝐨. 𝐇𝐞 𝐰𝐚𝐬 𝐚 𝐦𝐮𝐫𝐝𝐞𝐫𝐞𝐫 𝐟𝐫𝐨𝐦 𝐭𝐡𝐞 𝐛𝐞𝐠𝐢𝐧𝐧𝐢𝐧𝐠, 𝐚𝐧𝐝 𝐝𝐨𝐞𝐬 𝐧𝐨𝐭 𝐬𝐭𝐚𝐧𝐝 𝐢𝐧 𝐭𝐡𝐞 𝐭𝐫𝐮𝐭𝐡, 𝐛𝐞𝐜𝐚𝐮𝐬𝐞 𝐭𝐡𝐞𝐫𝐞 𝐢𝐬 𝐧𝐨 𝐭𝐫𝐮𝐭𝐡 𝐢𝐧 𝐡𝐢𝐦. 𝐖𝐡𝐞𝐧 𝐡𝐞 𝐬𝐩𝐞𝐚𝐤𝐬 𝐚 𝐥𝐢𝐞, 𝐡𝐞 𝐬𝐩𝐞𝐚𝐤𝐬 𝐟𝐫𝐨𝐦 𝐡𝐢𝐬 𝐨𝐰𝐧 𝐫𝐞𝐬𝐨𝐮𝐫𝐜𝐞𝐬, 𝐟𝐨𝐫 𝐡𝐞 𝐢𝐬 𝐚 𝐥𝐢𝐚𝐫 𝐚𝐧𝐝 𝐭𝐡𝐞 𝐟𝐚𝐭𝐡𝐞𝐫 𝐨𝐟 𝐢𝐭. The coming of the lawless one is according to the working of Satan, 𝐰𝐢𝐭𝐡 𝐚𝐥𝐥 𝐩𝐨𝐰𝐞𝐫, 𝐬𝐢𝐠𝐧𝐬, 𝐚𝐧𝐝 𝐥𝐲𝐢𝐧𝐠 𝐰𝐨𝐧𝐝𝐞𝐫𝐬, 10 and with 𝐚𝐥𝐥 𝐮𝐧𝐫𝐢𝐠𝐡𝐭𝐞𝐨𝐮𝐬 𝐝𝐞𝐜𝐞𝐩𝐭𝐢𝐨𝐧 among those who perish, because they did not receive the love of the truth, that they might be saved. 11 And for this reason 𝐆𝐨𝐝 𝐰𝐢𝐥𝐥 𝐬𝐞𝐧𝐝 𝐭𝐡𝐞𝐦 𝐬𝐭𝐫𝐨𝐧𝐠 𝐝𝐞𝐥𝐮𝐬𝐢𝐨𝐧, 𝐭𝐡𝐚𝐭 𝐭𝐡𝐞𝐲 𝐬𝐡𝐨𝐮𝐥𝐝 𝐛𝐞𝐥𝐢𝐞𝐯𝐞 𝐭𝐡𝐞 𝐥𝐢𝐞, 12 that they all may be condemned who did not believe the truth but had pleasure in unrighteousness. I can't wait until the "anonymous" fool above meets our Lord and calls his mother "dead" and a liar,she never appeared here. LOL. I went to grammar school with Joey's brother Anthony; my mother used to go to their home and received a rosary from Rome. we lived 3 streets from them. I KNOW what we lived in this time and the promises given. I believe when Joey died he "saw"
Happy Birthday in Heaven Joey ! If we wait for physical miracle no he didn't recover the view but now he passed away he is now in the Light. Virgin Mary was taken to the sky directly to Paradise because She is Purity (among other virtues she fulfilled). No Limbo, No Purgatory. She is since this Ascension Queen of the World, Mother of God and perfect Co-redemptor. The New Testament didn't say all and everything it is just first step. Anonymous, why do you hide yourself? Satan never speaks his name, why do you copy him? What are you afraid of? You were quick to condemn (one of the first to comment), if only you were as quick to discern. Gold Bless Everyone! PRAY, HOPE, & DON'T WORRY! So it could be that Joey did see the miracle on the day it was manifested to him but not on the day of the miracle prophesied to be manifested publicly? Sigh...I need a sign to believe in this Garabandal business. Joey died without ever regaining his sight, but in 1965 when I was 10 years old he gave back mine. I lived in Huntington Long Island, a normal kid with very committed Catholic parents.That summer they took a trip a trip to Spain to visit some shrine. I was left with my older sister, and got into mischief.I promised my exasperated sister if I could just by a B B gun from my paper route money, I'd settle down. My Mom would have hit the roof so I kept it in the garage. They came home and put up some religious items on the wall, one being as later years taught me, a picture of Padre Pio draped in a rosary. One day when I walked in my home alone, I was overwhelmed by a pungent smell of flowers but none were to be seen. Everyone away I went to the garage, and retrieved my BB gun, took it to the back yard but it would not fire, it was jammed. I raised the gun up to look for the blockage to remove it.It then fired a direct hit to my eye. Rushed to the hospital I was treated by a Jewish optomologist who recommended removal of the eye , it was damaged beyond recovery. I was distraught young boy, my mother made a call to a blind man who lived in the next town to comfort me. The next day in my hospital room walked Mr. Lamingino. I was crying,then held my hand told me of his accident, and went silent in prayer. He took a medal out of his pocket touched it to my eye. As the eye had no infection, it was left in but complete blindness. Then within a week muddy light, within a month restored sight. My Jewish doctor was astounded, as he had no answers to my recovery. Seven years later I was 17 and was in the top 20 final cut for the Naval Academy. During medical examine a 20/20 vision a must for an appointment. I did my eye examine passed the eye charts, but upon dilation the doctor got up and slammed the door, and screamed your blind how did you read those charts,and had me read different charts, then said tell me how this can be. Then abruptly said get out of here I won't challange this. Now 62 on New Years I drifted back over the years, and wondered if Mr Lamingino ever got his eye site back. I google him and came to this thread. I was saddened to know he died,and was that he never regained his site. I honestly did not know that much about Garabundle or these predictions.But I can attest that I already had my miricle. It wouldn't surprise me if that gentle man when he held my hand back 50 years ago. In silent prayer maybe he offered his miricle, so I could have mine. I have no invested interest in influencing anyone here to believe in the alleged apparitions or otherwise. In my opinion it is up to God to shape and form your beliefs. I only pray that everyone should have a childlike openness to the truth. But I do want to share my experience of Garabandal. A little background is needed. I am from Ireland and at the age of 24 I was blessed by God to have an experience of His Son. I was raised a Catholic but wasn't at all interested in faith or religion. My encounter with Christ was sudden and completely unexpected. It happened in my own bedroom late at night. It led me to a life of prayer and commitment to a God who was not just alive but was living with me. In the following month I had several communications with Mother Mary. Her presence was always an inspiration to deepen my love and devotion to her Son. She taught me greater reverence and humility (Despite the immense majesty of her presence she was humility itself. This profound experience is enough to create an immense desire for lowliness in all affairs. At one time I visited the Shine of Knock which is an approved apparition site of Our Blessed Mother. It is a place of prayer and devotion and I was praying in the Apparition Shine itself when Our Lady asked me, "I want you to visit Garabandal." I was quite shocked. While I was vaguely familiar with the apparition I remembered as a child watching a program on TV that was quite dismissive of the apparition. In fact my memories of the documentary portrayed it as a place of deception. I had never considered in my mind that this would be a place that Heaven would want me to visit. And I must add that nothing further was added. Just that I should visit. Very surprised I left the chapel or shine and walked to the Catholic bookstore that is in the Shrine Complex. My mind deep in thought I walked into the store and instantly my eyes fell on a Catholic newspaper...and in particular a small advertisement on the lower left corner which read, "Pilgrimage To Garabandal" I smiled and thought how Mother Mary makes the task at hand very easy to complete. My sincere thanks to both James and John for sharing a bit of your spiritual journeys here. I found them both to be very spiritually inspiring and edifying. Thanks for the reminder Glenn :) And I'd also like to share my gratitude to James. A truly beautiful story. Thanks James for sharing. I should add that I started my story yesterday mentioning rather matter of fact about my sudden encounter with Christ and how Our Blessed Mother began to communicate with me. Anyone with faith knows that these phenomena are realities of the Church but of course I can't convince anyone of the validity of my statements in regards to myself nor would I want to (unless the Holy Spirit directed me on an occasion.) But I should add that such beliefs or statements should not be flippantly made without spiritually mature personal discernment. In addition, personal discernment should have the supervision of a spiritually mature director. Since my conversion the Lord has lovingly provided me with some of the wisest spiritual directors (one of whom has recently become a Bishop in Canada and another whose Canonization process will almost certainly begin in the next couple of years, Father Bob Bedard who I'll provide a Link for here: http://www.companionscross.org/our-founder; Others may not have the distinction of such titles but in my opinion and according to providence they were exactly what I needed at that particular time. I believe I booked my pilgrimage the very shortly after. To the best of my knowledge the organizers of the trip were from Northern Ireland (I was from the Republic of Ireland in the south). When I met up with them I got the impression that most of them had been on several trips together previously. They all seemed far more knowledgeable about Garabandal than I. My invitation to visit the Apparition site had led me to read the basic narrative of Garabandal. I believe I actually had bought a small book in the Knock bookshop now that I recall. I had also discussed with my spiritual director (a Franciscan Priest) who while was in favour of my going, was pretty dismissive of the apparition itself. He didn't pretend to be an expert on the apparition but trusted my ability to discern the experience for myself. After our flight to Spain, we embarked on our bus ride from the airport and passed slowly out of Madrid (I believe it was Madrid rather than Santander but I was in Madrid two years ago so maybe I'm mistaken) and into the Spanish countryside. This gave me time to both reflect on the reasons why I was been asked to go to Garabandal and of course to pray and ask the source of the invitation :) Mary was silent, as she most often is. In fact I would add that on the occasions that Our Lord or Our Lady has asked of me anything in a direct communication it has always been the briefest of messages; with sometimes a real lack of direct advise or direction. In my experience the operate word here is "direct." God by His own providence always indirectly shows us the way and provides us with everything we need to accomplish His will. Never without challenges. My own challenge as we drove along through the Spanish countryside was I was incredibly sick. In fact the moment the plane touched down in Madrid a great sickness had slept over me. It would last the entire trip. The illness would reach its height on the way home on the connection flight at Heathrow Airport in London where I had to see the medical people there. It would instantly leave the moment I touched down in Ireland. It was already clear that My Queen had not set me up for a restful holiday in the Spanish sun. I declared then, okay I will evaluate or discern this based on my experience and the people that I meet. In the sanctuary of my Baptized soul I felt a definite nod of approval from My Queen and Mother. The people that I meet. After the most stomach churning drive of my life, with the final stretch sending the road spiraling up the mountain like a spinning top, leading to the village of Garabandal, which is perched on top. A terribly narrow road that I sensed required a few well aimed Ave Marie’s at the bus driver just to keep us on the road (remember I was tremendously sick at this point.) I remember thinking “Enter by the narrow gate. For the gate is wide and the road easy that leads to destruction" It was definitely not a wide road so this should have brought me some comfort but I would have gladly switched to the vast and easy one at this point. Well we were given a upstairs room with a skylight. Simon had graciously given me the bed beneath the skylight. As I lay in my bed looking into the night sky I turned to my roommate and asked him would he mind if I asked him why he was here. I have to say that I’m not a naturally judgmental person (in fact I’d like to think I’m the very opposite even before my conversion) but there was a real ‘fish out of water’ look to my new friend. He immediately responded by confirming that he had spent almost all his life in crime and gang life. As he described his life I realized somberly that my hunch of not making it through the night probably wasn’t at all too inaccurate. ☺ He continued his story and he described an evening where himself and another associate were shooting heroin in an alleyway somewhere in the streets of North Dublin. He described that the alley was apparently beside the back gardens of a neighboring convent and he soon became aware of two nuns who were praying the Rosary. Before long the two sisters noticed them and had motioned over to the hedge that separated the alley from the garden. It was obvious that they had begun praying for the two drug users. At the exact moment that Simon saw the nuns praying for them, Simon described that both men found themselves engulfed in terrible violent flames, as if in Hell. Of course this could be viewed as a drug induced hallucination, in which case both men were simultaneously having the same one. Both men completely terrified jumped to their feet and ran back to their respected homes. Unsurprisingly this terrifying experience had an huge impact on Simon but he wasn’t sure what he was meant to do. The decided to go to Church. To the Holy Mass. He didn’t participate. He stood at the back and listened not sure of what to do. At the end as he was leaving the church an older lady handed him a holy card and a pamphlet. When he got home he studied it and saw it was an Our Lady of Garabandal Prayer card and the pamphlet described information on how to order a free video on Garabandal. He sent away for the video and some time later it arrived. When the opening segment played, it described the first vision of the Angel and it gave the date of the apparition, June 18, 1961. At these words Simon described it as a burning arrow hitting his heart. It was the date of his birth. His life would never be the same. He told me that he immediately got himself a job in construction, committed himself to a life of prayer, the Rosary several times a day, fasting twice a week and receiving the Eucharist daily. He explained to me that this had happened a few years before and he was certain that Our Lady of Garabandal had saved him from a life doomed to Hell and damnation. He had decided he would save every penny he could until he had visited the place and honored the Lady who was somehow inexplicably connected to his conversion. He was now on that pilgrimage. As he finished his story I felt a strange mixture of shame, honor and an unworthiness. Ashamed to have seen him as an inconvenience to my special pilgrimage. Honored to be sharing this very special moment of his life. But completely unworthy to be doing so. Again I’ll have to leave it there. But just to share that the very next person I would meet the next morning at breakfast would cast even more light on this place. He would also indirectly lead me to the third and most significant person I would meet that same day. Thanks for taking the time to read this. God bless you all. Thanks so much John for sharing this wonderful story here--personally I am finding it both riveting and inspiring, so please do continue with it when you have the opportunity! It is beautiful to read of the merciful intercession of our Blessed Mother in heaven. So next morning I get up and head down to breakfast. The entire group are there and I sat down beside an older gentleman who was in a wheelchair and another lady who I believed to be his wife. Again I can't remember this man's name but he was Irish and for the sake of the story I refer to him as Jim. So after breakfast we set out for the Church and I remember pushing him up the narrow streets and chatting. At some stage I said, "So this might seem a little strange to you Jim but I'm not sure if I should believe in this place not not; what do you think? Well in an instant he turned his head towards me and applied the break on his wheelchair. "Do you know who I am?" He asked with a definite change of tone in his voice. "Not really..." I think I replied in surprise. "I'm Conchita's Father In-Law!" "Conchita is married to my son." I remember thinking naively how did this Spainish girl end up married to an Irishman :) Jim continued. "I have two biological daughters (I believe this is the number he mentioned) but Conchita is closer to me than anyone could ever be." He went on to talk of how close they were and how devout and special she was. He mentioned that she now lived in Fatima and basically spent her entire life in front of Jesus in the Blessed Sacrament as "she knows what's coming!" "John" he continued, "You can absolutely believe in what happened here." I wasn't expecting this on our casual walk to the Church. I was surprised that the very first two people I had spoken to were presenting me with an impressive insight into the "fruits" of Garabandal. Simon believed his conversion were a blessing that originated from these apparitions. I had now been given from a close relative an intimate insight into the spiritual life of one of the chief visionaries. Yet I can't say for a moment that I had become a believer. My soul instead was in a state of intense discernment. Something told me that I needed to be attentive and open. Nothing else. We reached the Church. A very small building nestled in the heart of the village. I entered with Jim but knelt down alone in the Church and began to pray. Not long after a tall older man dressed in what looked like combat or military fatigues walked into the Church and to my surprise moved up to the altar. He took out what looked like a solider's mess kit. Then he produced a stole and placed it around his shoulders and before I could get my thoughts together he began the opening prayers to the Holy Celebration of the Eucharist! Yes, I was at Mass and this man was a priest...at least I hoped he was a priest. I was so uncertain about the entire proceedings that I was a little reluctant to receive communion but he actually gestured to me to come. And I did. At the end of Mass, and after thanksgiving, the priest came up to me and introduced himself. With a very quick introduction and without any prompting from me he immediately went into his testimony. 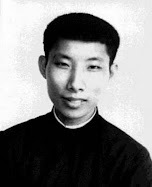 It seems that he was indeed a priest and had served as a chaplain to the US Army in Germany in the 1960's. Sometime during the early 60's his unit had some time off and three of his unit decided that they would bring him to Lourdes France in the pursuit of a miracle, as he was completely blind. He went on to tell me that travelling by jeep they had visited Lourdes and received prayers and experienced the baths. But no apparent miracle. But while they were there a local woman had suggested that they should visit a Spanish town called Garabandal. (It's about 460 km or 5 hours drive from Lourdes to Garabandal) The Blessed Virgin was allegedly appearing there. So with a few days left on their leave the four men in the spirit of adventure left Lourdes in their Jeep and headed to this small Spanish village. When they arrived at the village they realized that it was actually during one of the apparitions! There were hundreds of pilgrims on the streets. In fact the streets were so thronged with people that they couldn't even enter the town and instead just sat in their Jeep wondering what to do. 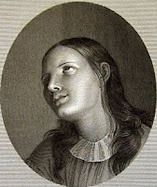 But to their complete surprise within seconds a young girl (one of the Seers) walked up to the Jeep and looking at the four men dressed as soldiers directed her attention to the priest, and said, "Father, the Blessed Virgin welcomes you to Garabandal, you will receive your sight in the morning!" The old priest looked at me square in the eyes and said with his first smile, "The next morning I could see"
I've come to the end of my story, at least the part that I intended to share. I pray that the Lord blesses you and your families in whatever situation life finds you. Thank you once again John for sharing your inspiring story here. PADRE PIO HAD GOD'S GRACE AND COULD TRAVEL BACK N FORTH IN TIME! HE EVEN PRAYED FOR A GOOD DEATH FOR HIS GREAT GRANDFATHER WHO DIED A LONG TIME AGO! JOEY WAS A GOOD MAN AND THE BLESSED MOTHER ALWAYS KEEPS HER PROMISE JUST AS CHRIST DOES. JUST WAIT AND WATCH! I firmly believe that when Joey is in Heaven [maybe he is in Purgatory now, but I doubt it because of his charitable work done in New York? "Love covers a multitude of sins": St. Peter and also we will be judged on our love of Jesus through our neighbour.] Joey WILL HAVE A GREAT VIEW OF THE MIRACLE FROM HEAVEN and of course, he is no longer blind because his spirit is there. Very well said Ron! Thanks for your comments. just a reminder to those who fall back on the claims that so many who were to see the miracle are dead: are they?.. there IS eternal life according to Jesus Christ. . . perhaps maybe it is "you" who are dead; spiritually dead. and maybe it is "you" who need to see through "new eyes"? michael g. b. In the context of the discussion it might be worth considering the above text. We have after all a very limited understanding of the departing soul's relationship with time and space. After reading parts of this very long exchange between Glenn Hudson and anonymous I am certain that this is a distraction to what Jesus has called us to do. Love God with all your heart, soul, and mind and Love others as yourself. Who cares whether the prophecy comes true or not. If you're not doing those two things you won't be making it to heaven. This is not loving others. I'm sorry I landed on your Facebook page Glenn. It's no where I want to be. Many believed that Joey would receive new eyes. This was a riddle and it is time for the faithful to know the meaning. Joey's name and what was said of him is actually a hidden message, a mystery and riddle of God. It is to be revealed now for, the time is at hand. The left handed person is he who is at the left hand of God. They are the accursed ones. They give nothing, they contribute nothing and their works come to naught! are going to feel His wrath, THE RETRIBUTION OF THE LAMB= REVELATION 6:12-17(Read). OCCULT symbol The Lord is going to destroy them. This ruling body who practice esoteric occult garbage are going to receive a BLOW TO THE HEAD! The falling away of many kingdoms and their Masonic Rulers is at hand.It is revealed in the Song of Mary, THE MAGNIFICAT. The Bride will be preserved= the CHURCH, THE ELECT. This will be an exodus type event, but global. All of which in the end will be about Israel. God Bless! No offense to some who have used the anonymous title on here, but I would like to ask the one who is obviously hiding behind that cover: do you pray as much as you criticize and judge? You are very quick to use Holy Scripture as a weapon to justify your point of view and club those who are in disagreement with you. Please remember the Temptation of Jesus in the desert from St. Matthew's Gospel: even the Evil One and his servants can twist Scripture to their own ends. I am NOT suggesting that you are an agent of Satan. Please know that. But such behavior as I have witnessed here is not fit for a disciple of Christ. Vitriol has no place in the mouths of Our Lord's true followers. I am a sinner. I will have to stand before God and account for every thought, word and action in my own life. I will also have to account for my ad hominem criticisms of anyone. (Judge not, lest you be judged.) If you do not want to put any stock in Garabandal, that is fine. Just, please, do it with Christian charity and dignity. Please do not, by your inadvertent criticism, set yourself as a false prophet or arbiter. Jesus said that there is one lawgiver and judge, the One who is able to save and destroy. Please remember the kindness Jesus showed in not condemning grave sinners, while never lessening the message that the sins were grave and not to be committed freely by any child of God. "Neither do I condemn you. Go now and [avoid this sin] [sin no more]." It doesn't matter which translation with which you are more comfortable. The message of that entire Gospel passage is that no one is to judge except God (our Lawgiver and Savior) and that God's enduring love and mercy will win out in anyone who repents. Please pray for me as I will pray for. I do not pray that you come around to my way of seeing things. I simply ask that you stop condemning people in your true desire to save people from error and sin. Thank you and God bless you. Buon Giorno, Misericordi a Dio nell'alto dei cieli, mi permetto umilmente di scrivere un piccolo pensiero per il Sig, Joey Lomangino. Solo qualche giorno fa ho visto un video di un'intervista a Joey che parlava della sua esperienza a San Giovanni Rotondo da San Padre Pio, sono rimasto senza parole e felice nel aver compreso e sentito la sua testimonianza con San Pio e Garabandal. Arrivo al nocciolo della questione, secondo il mio parere, riguardo alla presenza o meno di San Pio a Garabandal nel giorno del miracolo, non dimentichiamoci che San Pio aveva il dono della bilocazione, più volte il Santo di San Giovanni Rotondo si trovava in più posti contemporaneamente, perchè allora meravigliarsi del fatto che San Pio da Pietrelcina non potesse essere lì presente con Concita?, perchè chi di noi conosce per davvero la volontà di Dio? Anche la morte di Joey il 18 giugno data della apparizione a Garabandal nel 1961 è una testimonianza vera e reale. Io ci credo non perchè faccio paragoni oppure statistiche che i fatti, più o meno, siano andati così, anzi mi rifaccio alle beatitudini di Gesù Nostro Signore.. BEATI QUELLI CHE NON VEDRANNO E CREDERANNO IN ME. Io non ho visto... ma CREDO, essendo un peccatore spero che Dio Nostro Signore e la Sua Mamma Celeste Santissima del Carmelo abbia pieta di me. I have read so many great perspectives and contributions on this site. If one reasons with the mind, then it is easy to be pulled back and forth like a balloon in the wind. I visited Garabandal as a child and actually met one of the visionaries in the village that day - I couldn’t tell you which one. She must have been in her late twenties and we couldn’t really understand each other - I was just eight years old! But the amazing atmosphere there was something I will never forget and So I have absolute faith that the apparition occurred and will occur as foretold. I cannot explain the “premature” death of Joey, nor that of Pare Pío, but I enjoyed a very strong conversion this year when visiting Medjugorje know what it feels like not to be believed by those closest to you, even your dearest family and friends. Our Blessed Mother has been appearing daily for 37 years to the seers in Medjugorje and by their own accounts, this is far longer than she had ever intended to. We live in extraordinary times and there is truly a battle raging between good and evil. I believe that our Blessed Mother is desperately interceding for us with Our Lord to delay Judgement Day, confident that we can halt his Delay the final Judgement Day through prayer and conversion. The hardest thing of all is to stand up publicly for our faith and proclaim a love of Jesus to all who will listen. Through our prayers and sacrifices we can each save countless souls from eternal damnation. That is all that truly counts at this stage. We cannot understand what we cannot understand and all will soon become clear. I give you Our Lady’s Motherly blessing.